Methods for cleaning water filtration membranes by treatment with a DNase containing cleaning composition. Optionally the composition also comprises a biocidal and/or other enzymes such as proteases.The DNAse may be derived from Aspergillus oryzae or from Bacillus licheniformis. 本发明涉及使用含DNA酶的清洁组合物清洁滤水膜。  The present invention relates to cleaning compositions containing the cleaning film drainage DNA enzyme. 膜污染是在膜过滤过程中遇到的问题，并且在技术和经济方面，膜污染是确定其在水处理和废水处理以及脱盐的实际应用中的主要因素。  Membrane fouling is a problem encountered in the membrane filtration process, and the technical and economic aspects, membrane fouling is a major factor in the practical application of the water treatment and wastewater treatment and desalination determination. 膜污染包括无机污垢/结垢、微粒状的/胶状的污垢，以及具有无生命的有机物质或活的微生物的有机污垢，其通常会形成生物膜。 Soils including inorganic fouling / scaling, particulate / colloidal dirt, and inanimate organic material having a viable microorganism or organic soil, which often form biofilms. 由于有机组分和无机组分以及微生物的污垢可以同时地发生，并且这些组分可以在机理方面相互作用。 Since the organic and inorganic components and fouling organisms may occur simultaneously, and the components may interact in the mechanism. -用清洁水通量(clean water flux)冲洗/预漂洗，该清洁水通量可以被加热至60 °C至80°(：并再循环持续一段时间。  - rinsing with clean water flux (clean water flux) / pre-rinse, the clean water flux may be heated to 60 ° C to 80 ° (: and recirculated for some time. -苛性钠溶液(NaOH)在约60°C至80°C的温度循环持续一段时间。  - caustic soda solution (NaOH) at about 60 ° C to 80 ° C to a temperature cycle for a period of time. -用清洁水通量进行中间漂洗。  - an intermediate rinsing with clean water flux. -循环酸性溶液持续一段时间。  - circulating an acidic solution for a period of time. -用清洁水通量进行最终漂洗。  - a final rinse with clean water flux. -最后鼓风。  - the last blast. 在其他业务分部存在类似的膜清洁过程，并且取决于膜污染的性质能以不同的顺序应用各个步骤。  A similar cleaning process of the film in other business segments, and depending on the nature of membrane fouling can be applied to various steps in a different order. 在酶制造工业中使用的用于清洁膜的典型CIP循环包括水冲洗、冷和热苛性钠漂洗、以及硝酸漂洗。 CIP cycles typically used in the enzyme manufacturing industry for cleaning films include water washing, rinsing cold and hot caustic soda, nitric acid and rinsing. 在CIP中使用刺激性化学品是不希望的，并且会对环境造成问题。  the use of harsh chemicals is undesirable in CIP, and cause environmental problems. 在过去的多年中，已经开发了包括使用酶的CIP方法。 In the past years, we have been developed, including the use of enzymes CIP method. 国际专利申请WO 97/02753涉及包含用于就地清洁的蛋白酶和脂肪酶的溶液。  International patent application WO 97/02753 relates to a cleaning in place solution comprising a protease and a lipase. 已经发现该溶液在清洁含有乳或烧糊的乳的残留物的工艺设备中是有效的。 It has been found that the solution of the milk or milk process equipment burnt residue are effective in containing cleaning. 与典型的CIP程序相比，通过使用DNA酶改善膜清洁有若干个益处，如节省力气来将液体栗送通过较少污染的膜、减少刺激性和危险化学品的使用、降低用于中和的酸和碱的成本以及使用后排放、由于较温和的清洁条件以及未经化学或物理手段去除了污垢而延长了膜的使用寿命。  than a typical CIP process to improve film cleaning by the use of DNA enzymes have a number of benefits, such as to save energy the film is formed by feeding the liquid Li is less contamination, irritation and reduce the use of hazardous chemicals, by reducing in the cost and acids and bases as well as emissions after use, since the relatively mild conditions and without a cleaning chemical or physical means to prolong the life of the soil in addition to the film. 本发明提供了用于通过将滤水膜与包含DNA酶的液体清洁组合物接触而清洁滤水膜的方法。  The present invention provides a method for cleaning and water filtration membrane by contacting the membrane with a liquid drainage cleaning composition comprising a DNA enzyme method. 该清洁过程可以是就地清洁(CIP)或异地清洁(COP)。  The cleaning process may be a cleaning in place (CIP) cleaning or remote (COP). 在实施例中，提高了通过膜的水流量(通量）。  In an embodiment, increasing the flow of water through the membrane (flux). 在另一个实施例中，在方法在膜与杀生物组合物接触之前或之后。  In another embodiment, the method of the prior film or biocidal composition after contacting. 在还另一个实施例中，该滤水膜包含生物膜，该生物膜优选地包括选自下组的一种或多种细菌，该组由以下组成：不动杆菌属、芽胞杆菌属、丛毛单胞菌属、埃希氏菌属、假单胞菌属、和鞘氨醇单胞菌属物种。  In yet another embodiment, the film comprises a drainage biofilm, the biofilm preferably comprises one or more bacteria selected from the group, the group consisting of: Acinetobacter, Bacillus sp., Comamonas sp., Escherichia, Pseudomonas, Sphingomonas, and Xanthomonas species. 本发明的其他方面和实施例在说明书和实例下是显而易见的。  Other aspects and embodiments of the present invention will become apparent in the description and examples. 在本发明的上下文中，术语“滤水”和“水处理”包括过滤和处理水性溶液和水性悬浮液、以及基本上纯的水。  In the present context, the term "water treatment" and "treatment" includes filtering and processing aqueous solutions and aqueous suspensions, as well as substantially pure water. 已经表明，细胞外DNA在启动将生物和非生物有机物质附着至膜上起重要作用。  have shown that the extracellular DNA in the biotic and abiotic starting organic material adhered to the membrane play an important role. 细胞外DNA (eDNA)已经从动物、植物或微生物来源的死亡细胞释放到环境中。 Extracellular DNA (eDNA) has been released from dead cells of animal, plant or microbial origin to the environment. DNA是粘性的并且与表面和其他分子结合，从而通过简单地将较小的分子聚集成较大的分子或作为生物膜形成的开始而引起膜污染。 DNA is viscous and other molecules bound to the surface and thereby form larger molecules by simply smaller molecules or as aggregates began biofilm formation caused by membrane fouling. 除了将微生物与表面粘附之外，eDNA还可以作为生物膜中的结构组分起作用。 Except that the microorganisms and the surface adhesive, eDNA may also function as structural components in the biofilm. eDNA在生物膜中的作用从一种微生物种类至另一种微生物种类而变化，并且其他细胞外聚合物(像蛋白质和多糖)也起着重要作用，然而显然地eDNA在将微生物附着至表面和早期生物膜形成中起主要作用。 EDNA role in biofilms varies from one species of microorganisms to another microorganism species, and other extracellular polymers (such as polysaccharides and proteins) also plays an important role, but apparently eDNA in microorganisms attached to the surface, and It plays a major role in the early biofilm formation. 用于过滤/纯化水或非水性液体的膜包括超滤(UF)、微滤(MF)、纳滤(NF)和反渗透(RO)膜。  for filtering / purifying the water or non-aqueous liquid comprises an ultrafiltration membrane (UF), microfiltration (MF), nanofiltration (NF) and reverse osmosis (RO) membrane. 当该膜变得污染的，为了保持液体穿过该膜的某个流速，操作者必须增加膜上的压力（跨膜压力），这将导致增加的力量的消耗。 When the film becomes contaminated, in order to maintain a flow rate of liquid through the film, the operator must increase the pressure membrane (transmembrane pressure), which would result in increased power consumption. 超过某个压力，膜的完整性会被不可逆地破坏。 Beyond a certain pressure, the integrity of the film will be irreversibly damaged. 将DNA酶用于清洁滤水膜可以减少有机材料和微生物向膜的附着，从而提高水/液体通过该膜的流速。  The DNA enzyme for cleaning water filtration membrane may reduce adhesion of microorganisms and the organic material to the film, thereby increasing the water / liquid flow rate through the membrane. 同样，使用DNA酶用于膜清洁可与传统的化学清洁剂(像酸、碱、漂白剂和其他消毒剂和杀生物剂)组合。 Similarly, the use of DNA enzymes film for cleaning with conventional chemical cleaning agents (such as acids, alkalis, bleaches and disinfectants and other biocides) in combination. 该DNA酶清洁步骤可以在用其他清洁化学品或配制品清洁程序之前或之后使用。 The DNA enzyme can be used before the step of cleaning with chemicals or other cleaning formulation or after the cleaning process. 通常使用的杀生物剂和清洁化学品包括2,2-二溴-3-次氨基丙酰胺（DBNPA)、 rodalon、次氯酸钠、H2O2、HN〇3、柠檬酸、草酸、NaOH、EDTA、表面活性剂、凝聚剂、防垢剂和分散剂。  commonly used biocides and cleaning chemicals include 2,2-dibromo-3-nitrilopropionamide (DBNPA), rodalon, sodium hypochlorite, H2O2, HN〇3, citric acid, oxalic acid, NaOH, EDTA, surface active agents, coagulation agents, antifouling agents and dispersing agents. 膜清洁程序可以是“就地清洁”（CIP)或“异地清洁”（COP)。  The film may be a cleaning program "cleaning in place" (the CIP) or "off-site clean" (COP). 在CIP清洁程序中，这些膜保持安装在处理设备中同时使其经受清洁配制品，或者在浸润程序中（其中将这些膜淹没或浸湿在清洁配制品中）或者以一定流速通过程序(其中该清洁配制品在膜中连续地循环)。 In the CIP cleaning process, these films remain installed in the processing apparatus while being subjected to cleaning formulations, or infiltration procedure (where these membranes submerged or soaked in the cleaning formulations) or at a constant flow rate by a program (wherein the cleaning formulation is continuously circulated in the film). 在COP过程中，将膜从设备中去除并在单独的浸湿或流通程序中进行清洁。 , the film is removed and cleaned in a separate wetting or flow program from the device during the COP. 取决于污垢的性质，CIP或COP清洁程序可以延长几分钟到若干小时，例如过夜。  Depending on the nature of the soil, the CIP cleaning program or COP can extend from several minutes to several hours, for example overnight. 典型的膜清洁程序可以具有通过用水冲洗而分开的若干个单独的步骤。  A typical membrane may have cleaning program separated by washing with water several separate steps. 化学品和DNA酶清洁步骤的顺序可以基于膜污染的性质而变化。 DNA sequence and enzyme chemical cleaning step may vary based on the properties of membrane fouling. 取决于DNA酶的活性谱，DNA酶清洁程序可以在低pH、中性或高pH值以及低温或高温发生。  depends on the spectrum of activity of the enzyme DNA, DNA enzymes can be at low pH cleaning program, neutral or high pH, ​​and low or high temperatures occur. 优选地，该程序在PH 6-9以及在30°C至70°C之间的温度发生。 Preferably, the program occurs between PH 6-9 and a temperature between 30 ° C to 70 ° C.
 术语“DNA酶”意指具有DNA酶活性的多肽，该多肽催化DNA主链中的磷酸二酯键的水解断裂，从而降解DNA。  The term "DNA enzyme" is meant a polypeptide having the activity of DNA, hydrolytic cleavage of the phosphodiester bond of the DNA backbone catalytic polypeptide, thereby degrading DNA. 如国际生物化学和分子生物学联合会命名委员会（IUBMB)的建议中所定义，展示DNA酶活性的酶的实例是被酶种类EC 3.1.11至EC 3.1.31覆盖的那些。 The recommendations of the International Union of Biochemistry and Biology, Nomenclature Committee of the molecule (the IUBMB), as defined in the Examples show DNA enzymatic activity are those covered by the enzyme class EC 3.1.11 to EC 3.1.31. 术语“DNA酶(DNases、DNase enzymes)”和表达“具有DNA酶活性的多肽”在本申请中互换地使用。  The term "DNA enzyme (DNases, DNase enzymes)" and the expression "polypeptide having the activity of DNA" are used interchangeably herein. 出于本发明的目的，根据测定I中所描述的程序确定DNA酶活性。 For purposes of this invention, enzyme activity is determined DNA assay according to the procedure described in I. 在一个方面，本发明的DNA酶具有DNA酶(具有SEQ ID NO: 1的氨基酸序列）的DNA酶活性的至少20%，例如至少40 %、至少50 %、至少60 %、至少70 %、至少80 %、至少90 %、至少95%、或至少100%。  In one aspect, DNA enzymes of the present invention has a DNA enzyme (having SEQ ID NO: amino acid sequence of 1) at least 20% of the activity of DNA, such as at least 40%, at least 50%, at least 60%, at least 70 %, at least 80%, at least 90%, at least 95%, or at least 100%. 根据本发明使用的DNA酶是展示DNA酶活性的成熟多肽，该成熟多肽包含与如SEQ ID NO: 1或SEQ ID NO:2所示的氨基酸序列具有至少80%序列一致性的氨基酸序列，或由其组成。  The DNA enzyme according to the present invention is to demonstrate the activity of the mature polypeptide DNA, which comprises the mature polypeptide, such as SEQ ID NO:. 1 or SEQ ID NO: 2 amino acid sequence having at least 80% sequence identity to the amino sequence, or consist. 优选地，该DNA酶的氨基酸序列与SEQ ID NO: 1或SEQ ID NO: 2的氨基酸序列具有至少85%序列一致性，更优选地至少90 %，更优选地至少95%、96%、97%、98%、99%，并且最优选地100%序列一致性。  Preferably, the amino acid sequence of the enzyme with DNA SEQ ID NO: SEQ ID NO 1 or: 2 amino acid sequence having at least 85% sequence identity, more preferably at least 90%, more preferably at least 95%, 96 %, 97%, 98%, 99%, and most preferably 100% sequence identity. 在实施例中，该DNA酶的氨基酸序列是SEQ ID NO: 1或SEQ ID NO: 2。 In an embodiment, the amino acid sequence of the enzyme is DNA SEQ ID NO: 1 or SEQ ID NO: 2. 在另一个实施例中，该DNA酶是真菌DNA酶，优选是丝状真菌DNA酶，更优选是曲霉属真菌DNA酶，并且最优选是米曲霉DNA酶。 In another embodiment, the DNA enzyme is a fungal DNA enzyme, preferably a filamentous fungus DNA enzyme, more preferably Aspergillus DNA enzymes, and most preferably Aspergillus oryzae DNA enzymes. 在另一个实施例中，该DNA酶是米曲霉DNA酶或其衍生物。 In another embodiment, the enzyme is a DNA A. oryzae DNA enzyme or derivative thereof. 在还另一个实施例中，该DNA酶是披露在以下的DNA酶：国际专利申请号PCT/EP 2015/ 057883(现在为WO 2015/155350)，将其通过引用特此结合。 In yet another embodiment, the DNA enzyme is a DNA enzyme disclosed in the following: International Patent Application No. PCT / EP 2015/057883 (now WO 2015/155350), which is hereby incorporated by reference. 在实施例中，引入SEQ ID NO: 1或SEQ ID N0:2的氨基酸序列中的氨基酸取代、缺失和/或插入的数目多达10个，例如1、2、3、4、5、6、7、8、9或10个。  In an embodiment, the introduction of SEQ ID NO: 2 substituted with the amino acid sequence of amino acids, and the number of deletions or insertions / up to 10, e.g. 1,2,3,4,5: 1 or SEQ ID N0 , 9, or 10. 或多达5个，例如1、2、3、4、 或5个;或多达2个。 Or up to 5, 3, 4, or 5; or up to 2. 这些氨基酸改变可以具有微小性质，S卩，不会显著地影响蛋白的折叠和/ 或活性的保守氨基酸取代或插入;典型为1至30个氨基酸的小缺失；小的氨基-末端或羧基末端延伸，如氨基末端蛋氨酸残基;多至20至25个残基的小接头肽;或通过改变净电荷或另外的功能促进纯化的小的延伸，如聚组氨酸段、抗原表位或结合结构域。 These amino acid changes may have minor nature, S Jie, does not significantly affect protein folding and / or activity of conservative amino acid substitutions or insertions; typically 1-30 small deletions of amino acids; small amino- - terminal or carboxyl-terminal extensions , such as an amino-terminal methionine residue; to 20 to 25 residues of a small linker peptide; or a small extension that facilitates purification by changing net charge or another function, such as a poly-histidine, an antigenic epitope or a binding area. 可以根据本领域中已知的程序，如定点诱变或丙氨酸扫描诱变（Cunningham和Wells，1989,Science [科学]244:1081-1085)来鉴定多肽中的必需氨基酸。  according to procedures known in the art, such as site-directed mutagenesis or alanine-scanning mutagenesis (Cunningham and Wells, 1989, Science [Science] 244: 1081-1085) to identify the essential amino acids in the polypeptide. 在后一项技术中，在该分子中的每个残基处引入单个丙氨酸突变，并且对所得突变体分子的DNA酶活性进行测试以鉴定对于该分子的活性至关重要的氨基酸残基。 In the latter technique, at every residue in the molecule of single alanine mutations introduced, and the resultant mutant molecules are DNA activity were tested to identify the activity of the molecule essential amino acid residues . 还参见Hi Iton等人，1996， J. Biol. Chem. [生物化学杂志]271:4699-4708 ANA酶或其他生物学相互作用的活性位点还可以通过对结构的物理分析来确定，如通过这样的技术确定:如核磁共振、晶体学、电子衍射或光亲和标记，连同对推定的接触位点氨基酸进行突变。 See also Hi Iton et al., 1996, J. Biol Chem [Journal of Biochemistry] 271:.. 4699-4708 ANA enzyme or other biological interaction of the active site also can be determined by physical analysis of structure, as determined by such techniques for determining: as nuclear magnetic resonance, crystallography, electron diffraction or photoaffinity labeling, in conjunction of putative contact site amino acids mutated. 参见，例如de Vos等人，1992， Science [科学]255: 306-312; Smith等人，1992，J·Mol · Biol ·[分子生物学杂志]224:899- 904; Wlodaver等人，1992，FEBS Lett. [欧洲生物化学学会联盟通讯]309:59-64。 See, for example, de Vos et al., 1992, Science [Science] 255: 306-312; Smith et al., 1992, J · Mol · [Journal of Molecular Biology] Biol · 224: 899- 904; Wlodaver et al., 1992, FEBS Lett [European Union biochemical Society communications] 309: 59-64. 还可以从与相关多肽的比对来推断必需氨基酸的身份。 Also it may be inferred from the identity of the essential amino acids and related polypeptide alignments. 可以做出单个或多个氨基酸取代、缺失和/或插入并且使用已知的诱变、重组和/ 或改组方法进行测试，随后进行有关筛选程序，如由Reidhaar-Olson和Sauer，1988， Science [科学]241:53-57;Bowie和Sauer，1989，Proc · Natl · Acad· Sci · USA [美国科学院院报]86:2152-2156;WO 95/17413;或WO 95/22625所披露的那些。  may be made of single or multiple amino acid substitutions, deletions and / or insertions and using known methods of mutagenesis, recombination and / or shuffling test, followed by a relevant screening procedure, as described by Reidhaar-Olson and Sauer, 1988 , Science [Science] 241: 53-57; Bowie and Sauer, 1989, Proc · Natl · Acad · Sci · USA [National Academy of sciences] 86: 2152-2156; WO 95/17413; or WO 95/22625 disclosed of those. 可以使用的其他方法包括易错PCR、·菌体展示(例如，Lowman等人，1991 ,Biochemistry [生物化学]30:10832-10837; 美国专利号5,223,409;TO 92/06204)和区域定向诱变(Derbyshire等人，1986，Gene [基因] 46:145;Ner等人，1988，DNA 7:127)。 Other methods that can be used include error-prone PCR, · bacterial display (eg, Lowman et al., 1991, Biochemistry [Biochemistry] 30: 10832-10837; U.S. Patent No. 5,223,409; TO 92/06204) and region-directed mutagenesis ( Derbyshire et al., 1986, gene [gene] 46: 145; Ner et al., 1988, DNA 7: 127). (相同的残基X 100)八比对长度-比对中的空位总数）。  (identical residues X 100) eight Length of Alignment - Total Number of vacancies). 生物膜是在表面上，如纤维表面、金属表面、或任何其他硬表面上，细胞彼此粘附在一起的任何群组的微生物。  The biofilm is on the surface, such as the fiber surfaces, metal surfaces, or any other hard surface, any microorganism group of adherent cells to each other. 这些粘附细胞经常包埋在细胞外高聚物(EPS)的自身产生的基质内。 The adherent cells are often embedded within the matrix itself produce extracellular polymers (EPS) of. 生物膜EPS是一般由细胞外的DNA、蛋白、和多糖组成的聚合物团块。 Usually biofilm EPS polymer agglomerates of DNA, proteins, polysaccharides and outside the cells. 生物膜可以形成在活的或非活的表面上。  The biofilm may be formed on the surface of living or non-living. 在生物膜中生长的微生物细胞与同一有机体的浮游细胞(相比之下，浮游细胞是可以在液体培养基中漂浮或浮游的单个细胞)在生理上是不同的。 Growing the microbial cells in a biofilm and planktonic cells of the same organism (in contrast, can be floating or planktonic cells suspended in a liquid medium in a single cell) is physiologically different. 生活在生物膜中的细菌通常具有与同一物种的自由漂浮细菌显著不同的特性，因为膜的密集并且受保护的环境允许它们以不同方式协作和相互作用。 Bacteria living in biofilms typically have free floating bacteria of the same species of significantly different characteristics, because the film is dense and protected environment permitting them to interact and cooperate in different ways. 这种环境的一个益处是增加对洗涤剂和抗生素的抗性，因为，密集的细胞外基质和细胞的外层保护群落的内部。 One benefit of such an environment is to increase resistance to detergents and antibiotics, because the interior dense extracellular matrix and an outer layer of cells protected communities. 典型的生物膜包含选自下组的一种或多种细菌，该组由以下组成:不动杆菌属、芽胞杆菌属、丛毛单胞菌属、埃希氏菌属、假单胞菌属、和鞘氨醇单胞菌属物种;如选自下组的一种或多种细菌物种，该组由以下组成：乙酸钙不动杆菌、解淀粉芽孢杆菌SC100、解淀粉芽孢杆菌SC168、脱氮丛毛单胞菌(Comamonas denitrificans)、大肠杆菌K-12、铜绿假单胞菌、和鞘氨醇单胞菌（Sphingomonas mucosissima)。  A typical biofilm comprises one or more bacteria selected from the group, the group consisting of: Acinetobacter, Bacillus, Comamonas sp., Escherichia, Pseudomonas Zymomonas, and sphingosine Zymomonas species; such as one or more selected from the group of bacterial species from the group consisting of: calcium acetate Acinetobacter, SC100 Bacillus amyloliquefaciens, Bacillus amyloliquefaciens SC168, Comamonas denitrification bacteria (Comamonas denitrificans), E. coli K-12, Pseudomonas aeruginosa, and sphingosine Zymomonas mobilis (Sphingomonas mucosissima). 根据本发明，与DNA酶任选地组合的非DNA酶可以是选自下组的一种或多种非DNA 酶，该组由以下组成:淀粉酶、阿拉伯糖酶、糖酶、纤维素酶、角质酶、半乳聚糖酶、脂肪酶、甘露聚糖酶、氧化还原酶(卤素过氧化物酶、漆酶、氧化酶、过氧物酶）、果胶裂解酶，果胶酶、过水解酶、蛋白酶和木聚糖酶。  According to the invention, optionally in combination with DNA of the non-enzymatic DNA enzyme it may be one or more selected from the group of non-DNA enzymes from the group consisting of: amylases, arabinosidases, carbohydrases, cellulase, cutinase, galactanase, lipases, mannanases, oxidoreductases (halo peroxidase, laccase, oxidase, peroxidase), pectate lyase, pectin enzymes, through the enzyme, protease, and xylanase. 一般而言，一种或多种所选酶的特性应与选定的清洁条件（S卩，最适pH，与其他酶和非酶组分的相容性等)相容，并且该一种或多种酶应以有效量存在。  The general characteristics of one or more enzymes selected should be compatible with the selected cleaning condition (S Jie, the pH optimum, compatibility with other enzymatic and non-enzymatic ingredients, etc. ), and the one or more enzymes should be present in effective amounts. 适合的蛋白酶包括细菌、真菌、植物、病毒或动物来源的那些，例如植物或微生物来源。  Suitable proteases include bacterial, fungal, plant, those plant or microbial origin e.g. viral or animal origin. 优选的是微生物来源。 Preferably it is of microbial origin. 包括化学修饰的变体或蛋白质工程变体。 Chemically modified or protein engineered variants variants. 它可以是碱性蛋白酶，例如丝氨酸蛋白酶或金属蛋白酶。 It may be an alkaline protease, such as serine protease or a metalloprotease. 丝氨酸蛋白酶可以例如是Sl家族(如胰蛋白酶)或S8 家族(如枯草杆菌蛋白酶）。 Sl may for example be a serine protease family (e.g., trypsin) or family S8 (such as subtilisin). 金属蛋白酶可以例如是来自例如家族M4的嗜热菌蛋白酶或其他金属蛋白酶，如来自M5、M7或M8家族的那些。 May be derived from, for example, metalloproteases such as familial M4, thermolysin, or other metalloproteases, such as from the M5, M7 or M8 those families. 术语“枯草杆菌酶”是指根据Siezen等人，1991，Protein Engng. [蛋白质工程学] 4:719-737和Siezen等人，1997 ,Protein Science [蛋白质科学]6:501-523的丝氨酸蛋白酶亚组。  The term "subtilases" refers according to Siezen et al., 1991, Protein Engng [Protein Engineering] 4: 719-737 and Siezen et al., 1997, Protein Science [Protein Sciences] 6: 501-523 of subgroup of serine proteases. 丝氨酸蛋白酶是通过在活性位点具有与底物形成共价加合物的丝氨酸来表征的蛋白酶的亚组。 Serine proteases are serine by formation of a covalent adduct with the substrate in the active site of a protease characterized subgroup. 枯草杆菌酶可以划分为6个亚部，S卩，枯草杆菌蛋白酶家族、嗜热蛋白酶(Thermitase)家族、蛋白酶K家族、羊毛硫抗生素肽酶家族、Kexin家族和Pyrolysin家族。 Subtilases may be divided into 6 sub-divisions, S Jie, the subtilisin family, thermophilic proteinase (Thermitase) family, family of proteinase K, lantibiotic peptidase family, the Kexin family and the family Pyrolysin. 枯草杆菌酶的实例是来源于芽孢杆菌的那些，如描述于US 7,262,042和WO 2009/ 021867中的嗜碱芽孢杆菌、解淀粉芽孢杆菌、吉氏芽孢杆菌、迟缓芽孢杆菌、短小芽胞杆菌、 和枯草芽孢杆菌；和描述于WO 89/06279中的枯草杆菌蛋白酶Ientus、枯草杆菌蛋白酶Novo、枯草杆菌蛋白酶Car I sberg、地衣芽孢杆菌、枯草杆菌蛋白酶BPN'、枯草杆菌蛋白酶309、枯草杆菌蛋白酶147和枯草杆菌蛋白酶168以及描述于(W0 93/18140)中的蛋白酶Η)138。  Examples of subtilases those derived from Bacillus, as described in US 7,262,042 and WO alkalophilic Bacillus 2009/021867, Bacillus amyloliquefaciens, Bacillus Giemsa, Bacillus lentus, Bacillus pumilus , and Bacillus subtilis; subtilisin as described in WO in Ientus 89/06279, subtilisin Novo, subtilisin Car I sberg, Bacillus licheniformis, subtilisin BPN ', subtilisin 309, subtilisin 147 and 168 and subtilisin proteases described in Η (W0 93/18140) in) 138. 其他有用的蛋白酶可以是描述于WO 92/17577、W0 01/16285、W0 02/26024以及WO 02/16547中的那些。 Other useful protease may be as described in WO 92/17577, those of W0 01/16285, W0 02/26024 and WO 02/16547. 胰蛋白酶样蛋白酶的实例是胰蛋白酶(例如，猪或牛来源的）和镰孢属蛋白酶(描述于WO 89/06270、W0 94/25583和WO 2005/040372中），以及来源于纤维单胞菌(Cellumonas)的糜蛋白酶（描述于WO 2005/052161 和WO 2005/052146中）。 Examples of trypsin-like proteases are trypsin (e.g., of porcine or bovine origin) and the Fusarium protease (as described in WO 89/06270, W0 94/25583 and in WO 2005/040372), and derived from Cellulomonas (Cellumonas) of chymotrypsin (described in WO 2005/052161 and in WO 2005/052146). 另外的优选的蛋白酶是来自迟缓芽孢杆菌DSM 5483的碱性蛋白酶(如在(例如)WO 95/23221 中所述）、以及其变体（在TO 92/21760、W0 95/2322UEP 1921147以及EP 1921148 中描述的）。  Further preferred proteases derived from Bacillus lentus DSM 5483 alkaline protease (as described in (for example) WO 95/23221 described), and variants thereof (at TO 92/21760, W0 95 / 2322UEP 1921147 and described in EP 1921148). [00M] 金属蛋白酶的实例是如描述于WO 2007/044993 (杰能科国际公司（Genencor Int. ))中的中性金属蛋白酶，例如来源于解淀粉芽孢杆菌的那些。 [00M] Examples of metalloproteases are as described in WO 2007/044993 (Genencor International Inc. (Genencor Int.)) In a neutral metalloprotease, such as those derived from Bacillus amyloliquefaciens solution. 皿2225^232¥、1(2351^0236!1、02451?、吧521(、了274厶(使用8?^进行编号）。 Dish 2225 ^ 232 ¥, 1 (2351 ^ 0236! 1,02451 ?, it 521 (, 274 Si (using 8? ^ Numbered). ExcellaseTM、Eraser™、Opticlean™和Optimase™ (丹尼斯克/杜邦公司（Danisco/DuPont))、 Axapem™ (吉斯特布罗卡德斯公司®ist-Brocases NV))、BLAP (序列示于US 5352604的图29中）及其变体(汉高股份(Henkel AG))以及来自花王株式会社(Kao)的KAP (嗜碱芽孢杆菌枯草杆囷蛋白酶）。 ExcellaseTM, Eraser ™, Opticlean ™ and Optimase ™ (Danisco A / DuPont (Danisco / DuPont)), Axapem ™ (Gist Burro Ka Desi company ®ist-Brocases NV)), BLAP (sequence shown in US 5352604 FIG. 29) and variants thereof (Henkel AG (Henkel AG)) from Kao Corp., and KAP (Kao) (the alkalophilic Bacillus subtilisin protease granary). 蛋白酶(还有其他类型的酶)可以与蛋白酶抑制剂一起使用，这些蛋白酶抑制剂是蛋白酶活性(例如丝氨酸蛋白酶活性)的可逆抑制剂。  Protease (There are other types of enzymes) may be used together with a protease inhibitor, the protease inhibitor is a protease activity (e.g., serine protease activity) reversible inhibitor. 优选地，该蛋白酶抑制剂是(可逆的） 枯草杆菌蛋白酶抑制剂。 Preferably, the protease inhibitor is (reversible) subtilisin inhibitors. 特别地，该蛋白酶抑制剂可以是肽醛、原硼酸(boric acid)或硼酸(boronic acid);或这些中的任一种的衍生物。 In particular, the protease inhibitor may be a peptide aldehyde, orthoboric acid (boric acid) or boronic acid (boronic acid); or derivatives of any of these. 适合的硼酸衍生物描述于US 4,963,655、US 5,159,060、W0 95/12655、W0 95/ 29223、W0 92/19707、W0 94/04653、W0 94/04654、US 5,442，100、US 5,488,157和US 5， 472,628 中。  Suitable boronic acid derivatives are described in US 4,963,655, US 5,159,060, W0 95/12655, W0 95/29223, W0 92/19707, W0 94/04653, W0 94/04654, US 5,442,100, US 5,488,157 and US 5, 472,628 in. 适合的肽醛描述于W〇94/04651、W0 95/25791、W0 98/13458、W0 98/13459、W0 98/13460、W0 98/13461、W0 98/13461、W0 98/13462、W0 2007/141736、W0 2007/145963、W0 2009/118375、W0 2010/055052和WO 2011/036153中。  Suitable peptide aldehydes described in W〇94 / 04651, W0 95/25791, W0 98/13458, W0 98/13459, W0 98/13460, W0 98/13461, W0 98/13461, W0 98/13462, W0 2007/141736, W0 2007/145963, W0 2009/118375, W0 2010/055052 and WO 2011/036153 are. 可替代地，该肽醛可以具有WO 2011/ 036153中所描述的式。 Alternatively, the peptide may have an aldehyde of formula WO 2011/036153 described. 该肽醛可以通过与亚硫酸氢钠的反应被转化成水溶性亚硫酸氢盐加合物，如在教科书，例如March ,J · ,Advanced Organic Chemistry [高等有机化学]，第四版，Wi ley-Interscience [威利国际科学出版社]，美国，1992,第895页中所描述；以及如描述在WO 2013/004636 中。  The peptide aldehyde may be converted by reaction with sodium bisulfite into a water-soluble bisulfite adduct, such as in textbooks, such as March, J ·, Advanced Organic Chemistry [Advanced Organic Chemistry], Fourth Edition , Wi ley-Interscience [Wiley international Science Press], United States, 1992, as described on page 895; and as described in WO 2013/004636. 其他实例是例如WO 92/05249、W0 94/01541、EP 407225、EP 260105、W0 95/ 35381、W0 96/00292、W0 95/30744、W0 94/25578、W0 95/14783、W0 95/22615、W0 97/ 04079、W0 97/07202、W0 00/60063、W0 2007/087508以及WO 2009/109500中所描述的那些脂肪酶变体。  Other examples are for example, WO 92/05249, W0 94/01541, EP 407225, EP 260105, W0 95/35381, W0 96/00292, W0 95/30744, W0 94/25578, W0 95/14783, W0 95 / 22615, W0 97/04079, W0 97/07202, W0 00/60063, W0 2007/087508 and those lipase variant as described in WO 2009/109500. 优选的可商购脂肪酶包括Lipolase™、LipoIase Ultra™、和Lipex™;Lecitase™、 LipolexTM;LipocleanTM、Lipoprime™(诺维信公司（Novozymes A/S))。  Preferred commercially available lipase enzymes include Lipolase ™, LipoIase Ultra ™, and Lipex ™; Lecitase ™, LipolexTM; LipocleanTM, Lipoprime ™ (Novozymes (Novozymes A / S)). 其他可商购的脂肪酶包括Lumafast (杰能科国际公司（Genencor Int Inc)) ;Lipomax (吉斯特-布劳卡德斯公司(Gist-Brocades) /杰能科国际公司）和来自苏威公司（Solvay)的芽孢杆菌脂肪酶。 Other commercially available lipases include Lumafast (Genencor International Inc. (Genencor Int Inc)); Lipomax (Gist - 布劳卡德斯 Company (Gist-Brocades) / Genencor International Inc.) and from Solvay company (Solvay) Bacillus lipase. 糖酶是裂解碳水化合物的酶的通用术语。  Sugar is a generic term enzyme cleavage enzyme carbohydrate. 一般来说，糖酶以它们所起作用的底物命名，例如淀粉酶对淀粉酶起作用并且纤维素酶对纤维素起作用。 In general, they are acting carbohydrases to the named substrate, e.g. amylase amylases and cellulases act on cellulose acts. 许多糖酶已经适用于清洁和洗衣应用中，如淀粉酶、纤维素酶、果胶酶、果胶酸裂解酶、甘露聚糖酶、阿拉伯糖酶、半乳聚糖酶以及木聚糖酶，并且所有这些糖酶都可以应用于液体组合物中。 Many enzymes have been applied to sugar and laundry cleaning applications, such as amylase, cellulase, pectinase, pectate lyase, mannanase, arabinase, galactanase, and xylanase, All of these enzymes, and sugars can be applied to the liquid composition. 合适的淀粉酶包括那些细菌或真菌来源的淀粉酶。  Suitable amylases include those of bacterial or fungal origin amylases. 包括化学修饰的变体或蛋白质工程变体。 Chemically modified or protein engineered variants variants. 淀粉酶包括例如从芽孢杆菌属获得的α-淀粉酶，例如，在GB 1，296，839中更详细描述的地衣芽孢杆菌的特定菌株。 Amylases include, for example, from a special strain of Bacillus α- amylases obtained, for example, in GB 1,296,839 licheniformis, described in more detail in Bacillus. 适合的淀粉酶的实例包括具有WO 95/10603中的SEQ ID NO: 2的淀粉酶或其与SEQ 1〇冊:3具有90%序列一致性的变体。  Examples of suitable amylases include in WO 95/10603 SEQ ID NO: 2, or an amylase of SEQ 1〇 Volume: 3 90% sequence identity with a variant. 优选的变体描述于胃0 94/02597、胃0 94/18314、而97/43424以及WO 99/19467的SEQ ID N0:4中，例如在一个或多个以下位置中具有取代的变体：15、23、105、106、124、128、133、154、156、178、179、181、188、190、197、201、202、207、208、 209、211、243、264、304、305、391、408以及444。 Preferred variants are described in the stomach 94/02597 0, 0 stomach 94/18314, and 97/43424 and WO SEQ ID N0 99/19467 of: 4, for example, a variant having a substitution at one or more of the following locations: 15,23,105,106,124,128,133,154,156,178,179,181,188,190,197,201,202,207,208, 209,211,243,264,304,305, 391,408 and 444. 不同的适合的淀粉酶包括具有WO 02/10355中的SEQ ID NO:6的淀粉酶或其与SEQ ID N0:6具有90%序列一致性的变体。  Suitable amylases different include WO 02/10355 in SEQ ID NO: 6, or an amylase and SEQ ID N0: 6 90% sequence identity with a variant. SEQ ID N0:6的优选变体是在位置181和182中具有缺失并且在位置193中具有取代的那些。 SEQ ID N0: 6 is preferred variants having a deletion at position 181 and 182 and those having a substituent in position 193. 另外的适合的淀粉酶是具有在WO 99/19467中的SEQ ID NO:6的淀粉酶或其与SEQ ID N0:6具有90%序列一致性的变体。  Also suitable are amylases of WO 99/19467 having the SEQ ID NO: 6, or an amylase and SEQ ID N0: 6 90% sequence identity with a variant. SEQ ID N0:6的优选变体是在以下位置中的一个或多个中具有取代、缺失或插入的变体的那些:R181、G182、H183、G184、N195、I206、E212、E216* K269。 SEQ ID N0: 6 variant is preferably one or more of the following positions having a substitution, deletion or insertion variants are those: R181, G182, H183, G184, N195, I206, E212, E216 * K269. 特别优选的淀粉酶是在位置R181和G182或位置H183和G184中具有缺失的那些。 Particularly preferred amylases are those having a deletion at a position or positions R181 and G182 and G184 in H183. 可以使用的另外的淀粉酶是具有WO 96/23873的SEQ ID N0:1、SEQ ID N0:3、SEQ ID NO:2或SEQ ID NO:7的那些或与SEQ ID NO:1、SEQ ID NO:2、SEQ ID NO:3或SEQ ID NO: 7具有90%序列一致性的其变体。  The additional amylase may be used in WO 96/23873 having SEQ ID N0: 1, SEQ ID N0: 3, SEQ ID NO: 2 or SEQ ID NO: 7 or those with SEQ ID NO: 1, SEQ ID NO: 2, SEQ ID NO: 3 or SEQ ID NO: 7 90% sequence identity with a variant thereof. SEQ ID N0:1、SEQ ID N0:2、SEQ ID N0:3或SEQ ID N0:7 的优选变体是在以下位置中的一个或多个中具有取代、缺失或插入的那些：140、181、182、 183、184、195、206、212、243、260、269、304以及476。 SEQ ID N0: 1, SEQ ID N0: 2, SEQ ID N0: 3 or SEQ ID N0: 7 is a variant preferably one or more of the following positions having substitutions, deletions or insertions that: 140,181 , 182, and 476 183,184,195,206,212,243,260,269,304. 更优选的变体是在位置181和182或位置183和184中具有缺失的那些。 More preferred variants are those having a deletion at positions 181 and 182 or 183 and 184 positions. SEQ ID NO: 1、SEQ ID NO:2或SEQ ID NO:7的最优选的淀粉酶变体是在位置183和184中具有缺失并且在位置140、195、206、243、260、304以及476中的一个或多个中具有取代的那些。 SEQ ID NO: 1, SEQ ID NO: 2 or SEQ ID NO: The most preferred amylase variants having a deletion of 7 positions 183 and 184 and 476 and at a position 140,195,206,243,260,304 one or more of those having substituents. 可以使用的其他淀粉酶是具有WO 2008/153815中的SEQ ID N0:2、W0 01/66712中的SEQ ID NO: 10的淀粉酶或其与WO 2008/153815的SEQ ID NO:2具有90%序列一致性或与WO 01/66712中的SEQ ID NO: 10具有90%序列一致性的变体。  Other amylases may be used are those having in WO SEQ ID 2008/153815 N0: 2, W0 01/66712 in SEQ ID NO: 10, or an amylase and WO 2008/153815 of SEQ ID NO: 2 or having 90% sequence identity with WO 01/66712 in SEQ ID NO: 10 has 90% sequence identity of the variant. TO 01/66712中的SEQ ID NO: 10的优选变体是在以下位置中的一个或多个中具有取代、缺失或插入的那些：176、177、 178、179、190、201、207、211 以及264。 The TO 01/66712 SEQ ID NO: 10, a variant is preferably one or more of the following positions having a substitution, deletion or insertion of those: 176, 177, 178,179,190,201,207,211 and 264. S125A+N128C+T131I+T165I+K178L+T182G+Y305R+G475K，其中这些变体是C-末端截短的并且任选地进一步在位置243处包含取代和/或在位置180和/或位置181处包含缺失。  S125A + N128C + T131I + T165I + K178L + T182G + Y305R + G475K, wherein the variant is C- terminally truncated and optionally further comprising substituted and / or at positions 180 and / or at positions 243 position 181 comprises a deletion. 其他适合的淀粉酶是具有WO 01/66712中的SEQ ID NO: 12的α-淀粉酶或与SEQ ID NO: 12具有至少90%序列一致性的变体。  Other suitable amylases having in WO 01/66712 SEQ ID NO: α- amylase 12 or SEQ ID NO: 12 having at least 90% sequence identity of the variant. 优选的淀粉酶变体是在WO 01/66712中的SEQ ID 勵：12的以下位置中的一个或多个中具有取代、缺失或插入的那些:1?28、1?118、附74;1?181、 G182、D183、G184、G186、W189、N195、M202、Y298、N299、K302、S303、N306、R310、N314;R320、 !1324^345、¥396、1?400、1439、1?444、财45、1(446、0449、1?458、财71、财84。特别优选的淀粉酶包括具有D183和G184的缺失并且具有R118K、N195F、R320K及R458K的取代的变体，以及另外在选自下组的一个或多个位置中具有取代的变体:M9、G149、G182、G186、M202、T257、Y295、 N299、M323、E345以及A339,最优选的是另外在所有这些位置中具有取代的变体。 Preferred amylase variants of SEQ ID excitation in WO 01/66712: The following position 12 having one or more substitutions, deletions or insertions that: 1 28,1 118, with 74; 1?? ? 181, G182, D183, G184, G186, W189, N195, M202, Y298, N299, K302, S303, N306, R310, N314; R320, 1324 ^ 345, ¥ 396,1 400,1439,1 444!?? , 45, 1 Choi (446,0449,1? 458, Choi 71, 84. Choi particularly preferred amylases include G184 and D183 having deletions and substitution variants R118K, N195F, R320K and R458K, and in addition one or more positions selected from the group of variants with substitutions: M9, G149, G182, G186, M202, T257, Y295, N299, M323, E345 and A339, most preferably all of these additional locations having substituted variants thereof. 其他实例是例如描述于WO 2011/098531、W0 2013/001078及WO 2013/001087中的那些淀粉酶变体。  Other examples are for example described in WO 2011/098531, W0 2013/001078 and WO 2013/001087 those amylase variant. 裂解酶可以是果胶酸裂解酶，来源于芽孢杆菌属，尤其是粘琼脂芽孢杆菌(B.agaradhaerens)或地衣芽孢杆菌，或一种来源于这些来源中任一种的变体，例如，正如在US 6,124,127、W0 99/27083、W0 99/07084、W0 02/06442、TO 02/092741、W0 03/095638 中所述的，可商购的果胶酸裂解酶是XPectTM;PeCtaWaSh™和Pectaway™ (诺维信公司）。  The lytic enzyme may be a pectate lyase derived from Bacillus, especially Bacillus sticky agar (B.agaradhaerens) or Bacillus licheniformis, or one derived from any of these sources of variation, For example, as described in US 6,124,127, W0 99/27083, W0 99/07084, W0 02/06442, tO 02/092741, W0 03/095638 was used, commercially available pectate lyase is XPectTM; PeCtaWaSh ™ and Pectaway ™ (Novozymes). 甘露聚糖酶可以是家族5或26的碱性甘露聚糖酶。  mannanase Alkaline mannanase familial 5 or 26. 甘露聚糖酶可以是来自芽孢杆菌属或腐质霉属的野生型，特别是粘琼脂芽孢杆菌、克劳氏芽孢杆菌(B.clausii)、耐盐嗜碱芽孢杆菌(B.halodurans)、地衣芽孢杆菌或特异腐质霉。 Mannanase derived from Bacillus genus or Humicola wild type, especially viscous agar, Bacillus clausii (B.clausii), salt alkalophilic Bacillus (B. halodurans), lichens Bacillus subtilis or Humicola insolens. 适合的甘露聚糖酶描述于WO 99/64619中。 Suitable mannanases are described in WO 99/64619. 可商购的甘露聚糖酶是Mannaway™ (诺维信公司）。 Commercially available mannanase is Mannaway ™ (Novozymes). 合适的纤维素酶可以是细菌或真菌起源的。  Suitable cellulases may be of bacterial or fungal origin. 包括化学或遗传修饰的突变体。 Chemically or genetically modified mutants. 适合的纤维素酶包括来自支顶孢属、芽孢杆菌属、镰孢属、腐质霉属、假单胞菌属、梭孢壳属的纤维素酶，例如披露于US 4,435,307、US 5,648,263、US 5,691，178、US 5,776,757和TO 89/ 09259中的由尖孢镰孢菌、特异腐质霉、和嗜热毁丝霉产生的真菌纤维素酶。 Suitable cellulases include cellulases from Acremonium, the genus Bacillus, the genus Fusarium, Humicola, Pseudomonas, Thielavia cellulases, such as disclosed in US 4,435,307, US 5,648,263, US 5,691,178, US 5,776,757, and Fusarium, Humicola, Fusarium, and a thermophilic tO 89/09259 destruction of fungal cellulases produced by Neurospora crassa. 尤其适合的纤维素酶是具有颜色保护益处的碱性或中性纤维素酶。  Especially suitable cellulases having color care benefits of the alkaline or neutral cellulases. 此类纤维素酶的实例是描述于EP 0 495 257、EP 0 531 372、W0 96/11262、W0 96/29397、W0 98/08940中的纤维素酶。 Examples of such cellulases are cellulases described in EP 0 495 257, EP 0 531 372, W0 96/11262, W0 96/29397, W0 98/08940 cellulase. 其他实例是例如描述于WO 94/07998、EP 0 531 315、US 5,457,046、US 5， 686,593、US 5,763,254、TO 95/24471、TO 98/12307以及TO 99/01544中的那些纤维素酶变体。 Other examples are for example described in WO 94/07998, EP 0 531 315, US 5,457,046, US 5, 686,593, US 5,763,254, TO 95/24471, TO 98/12307 and those cellulase variants TO 99/01544. 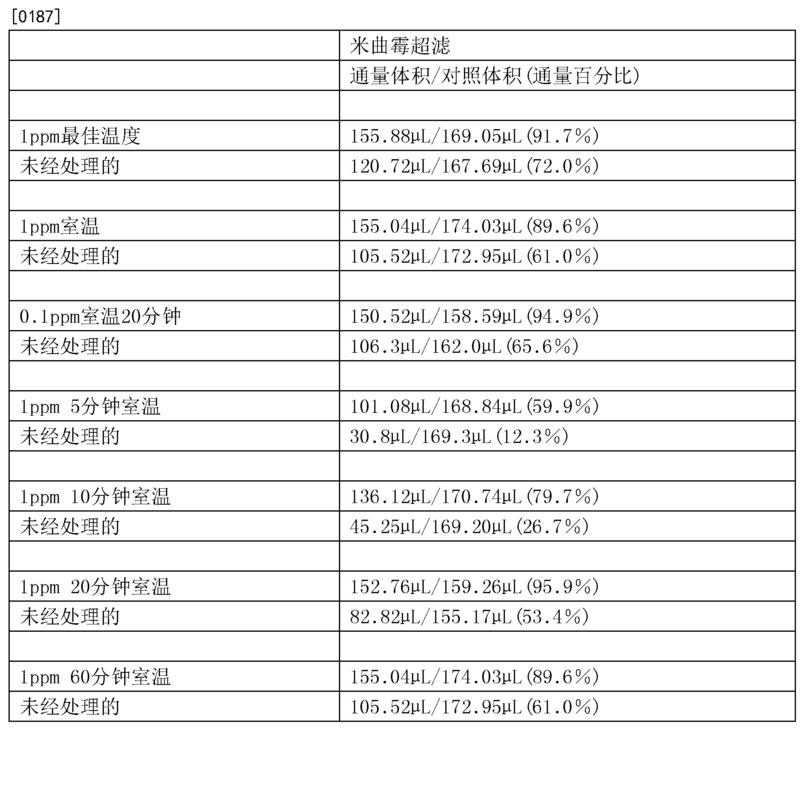 可商购的纤维素酶包括Carezyme™、Cel luzyme™、Celluclean™、Cel luclast™、 EndolaseTM、RenozymeTM、Whitezyme™ (诺维信公司（Novozymes A/S)) ;Clazinase™、 Puradax、Puradax HA、和Puradax EG (购自杰能科（Genencor))和KAC-500 ⑻ ™ (花王公司(Kao Corporation))。  Commercially available cellulases include Carezyme ™, Cel luzyme ™, Celluclean ™, Cel luclast ™, EndolaseTM, RenozymeTM, Whitezyme ™ (Novozymes (Novozymes A / S)); Clazinase ™, Puradax, Puradax HA, and Puradax EG (available from Genencor (Genencor)) and KAC-500 ⑻ ™ (Kao Corporation (Kao Corporation)). 适合的过氧化物酶包括由国际生物化学与分子生物学联合会(IUBMB)命名委员会陈述的酶分类EC 1.11.1.7,或源自其中的展示出过氧化物酶活性的任何片段。  Suitable enzymes include peroxidase enzymes designated by the International Union of Biochemistry and Molecular Biology (the IUBMB) committee stated classification EC 1.11.1.7, or any fragment derived peroxidase activity exhibited therein. 适合的过氧化物酶包括植物、细菌或真菌来源的那些。  Suitable peroxidases include those of plant, bacterial or fungal origin. 包括化学修饰的变体或蛋白质工程变体。 Chemically modified or protein engineered variants variants. 有用的过氧化物酶的实例包括来自拟鬼伞属，例如来自灰盖拟鬼伞(C.cinerea)的过氧化物酶(EP 179,486)，及其变体，如在WO 93/24618、W0 95/10602以及WO 98/15257中描述的那些。 Examples of useful peroxidases include peroxidases from Coprinus proposed, such as peroxidase (EP 179,486) proposed from Coprinus cinereus (C.cinerea) of, and variants thereof, as described in WO 93/24618, W0 95/10602 and those described in WO 98/15257. 这些过氧化物酶还包括齒代过氧化物酶，例如氯过氧化物酶、溴过氧化物酶以及展示出氯过氧化物酶或溴过氧化物酶活性的化合物。  The generation of a peroxidase further includes teeth peroxidase, peroxidase such as chloro, bromo, chloro exhibiting peroxidase and peroxidase or bromine compound of peroxidase activity. 根据其对齒素离子的特异性将齒代过氧化物酶加以分类。 The specificity of the teeth of the toothed element ions substituting classify peroxidase. 氯过氧化物酶(EC 1.11.1.10)催化从氯根离子形成次氯酸盐。 Chloride peroxidase (EC 1.11.1.10) catalyzes the formation of hypochlorite from chloride ions. 在实施例中，本发明的卤代过氧化物酶是氯过氧化物酶。  In an embodiment, the present invention haloperoxidase is chloro peroxidase. 优选地，该卤代过氧化物酶是钒卤代过氧化物酶，即含钒酸盐的卤代过氧化物酶。 Preferably, the haloperoxidase is a vanadium haloperoxidase, i.e. vanadate containing haloperoxidase. 在本发明的优选方法中，将含钒酸盐的齒代过氧化物酶与氯根离子来源组合。 In a preferred method of the present invention, the generation of the teeth of vanadate containing peroxidase and chloride ion sources in combination. 已经从许多不同真菌，特别是从暗色丝孢菌(dematiaceous hyphomycete)真菌组中分离出了卤代过氧化物酶，如链格孢属、葡萄孢属、尔黑霉属（例如煤卡尔黑霉(C. fumago))、弯孢属（例如疵枝弯孢(C. verruculosa)和不等弯孢(C. inaequalis))、内脐蠕孢属、和细基格孢属。  has, in particular isolated from many different fungi from dematiaceous hyphomycetes (dematiaceous hyphomycete) group, a fungal haloperoxidase, such as Alternaria, Botrytis, Seoul blackberry genus (e.g. coal Carl BlackBerry (C. fumago)), Curvularia (eg faults sticks Curvularia (C. verruculosa) and Curvularia (C. inaequalis)), umbilical Helminthosporium, and Ulocladium genus. [0Ί00] 还已经从细菌，如假单胞菌属(例如，R比略假单胞菌(P.pyrrocinia))和链霉菌属(例如，金色链霉菌(S.aureofaciens))中分离出了齒代过氧化物酶。 [0Ί00] It has also been from bacteria such as Pseudomonas (e.g., R ratio slightly P. (P.pyrrocinia)), and Streptomyces (e.g. Streptomyces (S.aureofaciens)) separated in a Generation teeth peroxidase. 在优选实施例中，该卤代过氧化物酶可源自弯孢属物种，特别是不等弯孢或疣枝弯抱(Curvularia verruculosa)，例如如WO 95/27046中所描述的不等弯抱CBS 102.42或描述于WO 97/04102中的疣枝弯孢CBS 147.63或疣枝弯孢CBS 444.70;如描述于WO 01/ 79458 中的Dendryphiella salina;如描述于WO 01/79459 中的Drechslera hartlebii;如描述于WO 01/79460中的Geniculosporium物种；或如描述于WO 01/79461中的Phaeotrichoconis crotalarie。  In a preferred embodiment, the haloperoxidase enzyme may be derived from Curvularia sp., In particular Curvularia warts or curved branches hold (Curvularia verruculosa), for example as described in WO 95/27046 as described CBS 102.42 or unequal bending holding described in WO 97/04102 CBS 147.63 Curvularia branches warts or warts branched Curvularia CBS 444.70; WO Dendryphiella salina as described in the 01/79458; as described in WO 01/79459 of Drechslera hartlebii; as described in Geniculosporium species 01/79460 WO; or as described in the Phaeotrichoconis crotalarie WO 01/79461 in. 适合的氧化酶具体包括由酶分类EC 1.10.3.2囊括的任何漆酶或源自其中的展示出漆酶活性的任何片段、或展示出类似活性的化合物，例如儿茶酚氧化酶(EC 1.10.3.1)、 邻氨基苯酚氧化酶(EC 1.10.3.4)或胆红素氧化酶(EC 1.3.3.5)。  Suitable oxidases include any fragment specific activity exhibited by a paint wherein any laccase enzyme classification EC 1.10.3.2, or derived include, or similar compounds exhibit activity, e.g. catechol oxidase ( EC 1.10.3.1), o-aminophenol oxidase (EC 1.10.3.4), or a bilirubin oxidase (EC 1.3.3.5). 优选的漆酶是微生物来源的酶。  Preferred laccase enzyme is of microbial origin. 这些酶可以源自植物、细菌或真菌(包括丝状真菌和酵母）。 These enzymes may be derived from plants, bacteria or fungi (including filamentous fungi and yeasts). 来自细菌的适合实例包括可源自芽孢杆菌属的菌株的漆酶。  Suitable examples from bacteria include strains derived from Bacillus laccase. 优选的是源自拟鬼伞属或毁丝霉属的漆酶;特别是源自灰盖拟鬼伞的漆酶，如披露于WO 97/08325中；或源自嗜热毁丝霉，如披露于WO 95/33836中。  Preferably, derived from Coprinus or quasi destroy the genus Neurospora crassa laccase; especially those derived from Coprinus cinereus laccase proposed, as disclosed in WO 97/08325; and derived from Myceliophthora thermophila, or mold, as disclosed in WO 95/33836 in. 适合的过水解酶能够催化过水解反应，该反应导致在过氧化物源（例如，过氧化氢)的存在下从羧酸酯(S先)底物产生过酸。  Suitable perhydrolase enzymes capable of catalyzing a perhydrolysis reaction that results in the presence of a peroxide source (e.g., hydrogen peroxide) produced from a carboxylic acid ester peracid (S first) substrate. 虽然许多酶以低水平进行该反应，过水解酶展示出高的过水解:水解比率，通常大于1。 Although many enzymes to carry out the reaction at a low level, high perhydrolase exhibits perhydrolysis: hydrolysis ratio, typically greater than 1. 适合的过水解酶可以是植物、细菌或真菌来源的。 Suitable perhydrolase enzymes may be of plant, bacterial or fungal origin. 包括化学修饰的变体或蛋白质工程变体。 Chemically modified or protein engineered variants variants. 有用的过水解酶的实例包括天然存在的分枝杆菌属过水解酶或其变体。  Examples of useful perhydrolase comprising the genus Mycobacterium naturally occurring perhydrolase enzyme or a variant thereof. 示例性酶来源于耻垢分枝杆菌。 Exemplary enzymes derived from Mycobacterium smegmatis. 这种酶，其酶特性、其结构及其变体描述于WO 2005/056782、WO 2008/063400、US 2008/0145353以及US 2007/0167344中。 This enzyme, which enzyme properties, its structure and its variants described in WO 2005/056782, WO 2008/063400, US 2008/0145353 and in US 2007/0167344. 多种膜类型和配置可用于水或废水处理过程。  more film types and configurations may be used for water or wastewater treatment process. 膜配置的类型包括毛细管、管、中空纤维、多通管、平板和框架/平板、褶式筒式过滤器、螺旋缠绕和包括陶瓷盘的陶瓷。 Type of membrane configuration comprises a capillary tube, hollow fiber, multi-way tube, plate and frame / flat, pleated cartridge filters, spiral wound and ceramic comprises a ceramic disc. 膜可以由包括以下的一种或多种材料制成：例如氯化聚乙烯、聚丙烯腈、聚砜、聚醚砜、聚乙烯醇、 醋酸纤维素、再生纤维素、聚偏二氟乙稀、聚乙基砜(polyethlysulphone)、聚乙稀、聚丙稀和陶瓷材料。 Film may be made include one or more materials: e.g. chlorinated polyethylene, polyacrylonitrile, polysulfone, polyether sulfone, polyvinyl alcohol, cellulose acetate, regenerated cellulose, polyvinylidene fluoride-ethylene , polyethyl sulfone (polyethlysulphone), polyethylene, polypropylene, and ceramic materials. 基于应用可以变化的膜的其他特征包括例如膜孔径。 Other features may vary based on the application of the film include, for example, membrane pore size. 取决于从水或废水中去除的微粒或杂质的尺寸，膜孔径的尺寸可以更大或更小。 Depending on the size of the water or waste water removed from the particles or impurities, the size of the membrane pore size may be larger or smaller. 根据本发明的膜类型包括用于超滤、微滤和纳滤的那些类型。 The membrane type for the present invention include those of the type of ultrafiltration, nanofiltration, and microfiltration. 膜生物反应器(MBR)系统将两个基础过程(生物降解和膜分离)典型地组合为单个过程，其中负责生物降解的悬浮固体和微生物通过膜过滤单元与经处理的水分离。  Membrane Bioreactor (MBR) systems two basic processes (biological degradation and membrane separation) are typically combined into a single process, wherein the water is responsible for the biodegradable suspended solids and microorganisms by membrane filtration separation unit treated. 参见例如，Water Treatment Membrane Processes[水处理膜过程]，McGraw_Hill，1996，p.l7.2〇整个生物质被限制在该系统内，该系统既控制微生物在反应器中的停留时间(污泥龄)又控制流出物的消毒。 See, e.g., Water Treatment Membrane Processes [membrane for water treatment process], McGraw_Hill, 1996, p.l7.2〇 entire biomass is confined within the system, which controls both the residence time of the microorganisms in the reactor (sludge age ) and controlling the disinfection of the effluent. 在典型的MBR单元中，将流入的废水栗送或重力供给到曝气池中，在曝气池中使其与生物质接触，从而生物降解废水中的有机材料。  Li wastewater feed or gravity in a typical MBR unit, the flows supplied to the aeration tank, the aeration tank so that the contact with the biomass, so that the biodegradable organic material in the wastewater. 如鼓风机的通风方式向生物质提供氧气。 The ventilation blowers provide oxygen to the biomass. 将所得混合的液体从曝气池栗送或重力供给到膜组件中，在膜组件中在压力下机械地或重力过滤地通过膜或在低真空下抽吸通过膜。 The resulting mixed liquid is supplied from the aeration tank into the membrane module Li or gravity feed, in a membrane module under pressure mechanically or by gravity filtration membrane under low vacuum or suction through the membrane. 在一些系统中，曝气池和膜池是同一个池。 In some systems, the aeration tank and the membrane tank is the same pool. 流出物从系统排出，而浓缩的混合液体回到生物反应器。 The effluent discharged from the system, a mixed liquid of concentrated back to the bioreactor. 为了维持恒定的污泥龄，抽出多余的污泥，并且将该膜通过反洗、化学洗涤、空气冲刷或这些机制的任何组合来定期清洁。 In order to maintain a constant sludge age, the excess sludge is extracted, and the film is formed by backwashing, chemical washing, or any combination of these air flushing mechanisms to be cleaned periodically. MBR系统具有多个配置。  MBR system having a plurality of configurations. 两个主要的MBR过程配置包括淹没/浸入和侧流。 The two main process configurations include flooded MBR / immersion and sidestream. 液压操作还有两个主要机制，包括抽吸和空运。 There are two main hydraulic operating mechanisms, including suction and air transport. 这些配置和散装液体转移模式通常被称为常规生物质排斥MBR。 These configurations and bulk liquid transfer mode is often referred to as conventional biomass rejection MBR. 其他配置包括萃取和扩散过程模式，除了将生物质从处理过的水中分离出来以夕卜，它们还使用膜。 Other configurations include extraction and diffusion process mode, except that the biomass is separated from the treated Bu Xi in water, they used a film. 所有这些过程配置包括一种或多种膜单元(包含膜，如描述在上文“膜” 部分的那些）。 All of these processes comprises one or more film configuration unit (comprising a film, such as those described above, "film" in the section). 在一个实施例中，这些膜在膜生物反应器中存在。  In one embodiment, the film is present in a membrane bioreactor. 在另一个实施例中，废水处理过程发生在膜平板盒单元或中空纤维单元本身通常浸入其中的膜生物反应器中。 In another embodiment, the wastewater treatment process takes place in the membrane or hollow fiber plate cassette unit cells themselves are generally immersed membrane bioreactor. 在一个实施例中，废水在进入膜生物反应器之前被预处理。  In one embodiment, the waste water is pretreated before entering the MBR. 预处理可以在废水源、 在预处理厂或在整个MBR系统作为部分进行。 Pretreatment can be carried out as part of the pretreatment plant or waste water source throughout the MBR system. 此类预处理可以包括分离筛(bar screen)、沉砂室或旋转筛以实现去除粗固体。 Such pretreatment may include a separation screen (bar screen), grit chamber or rotary screen to effect removal of coarse solids. 其他预处理可能包括去除有害污染物、油或燃料等物质或其他有毒物质。 Other pre-processing may include the removal of harmful contaminants like, or a fuel oil or other toxic substance. 通过本发明构想一种或多种水处理过程。  one or more water treatment process contemplated by the present invention. 此类水处理过程包括但不限于反渗透、 水淡化和饮用水纯化、以及废水处理过程。 Such treatment processes include, but are not limited to the reverse osmosis water desalination and purification of drinking water, and wastewater treatment process. 根据本发明的水或废水可以来自任何来源，这些来源包括：人类废品、垃圾坑泄露、化粪池排放、污水处理厂排放、洗涤水（如灰水(greywater)或污水）、收集的雨水、地下水、剩余的生产液体、海水、河水、人造液体处置、公路排水、雨水道、黑水(blackwater)、来自工业制造产品（包括电子工业、运输车辆、制药、颜料、润滑剂、塑料、原油和气(及其衍生的精制的产品）、饲料、食品和饮料、纺织品、无纺布、 纸和纸浆、谷物加工、和植物油、化学品、蛋白质(例如酶)）的过程水、工业废料、工业场地废水或排水(如冷却和过程水）、和农业废水或排水。 The water or wastewater the present invention may be from any source, such sources include: human waste, garbage pit leaks, septic discharge, discharge of sewage treatment plants, rain water (such as gray water (greywater) or water), collected, groundwater, the remaining liquid production, seawater, river water, artificial liquid disposal, road drainage, storm drain, black (Blackwater), the electronics industry, transportation vehicles, pharmaceuticals, pigments, lubricants, plastics, oil and gas products from industrial manufacturing (including (refined products derived thereof), feed, food and beverages, textiles, non-woven fabric, paper and pulp, grain processing, and vegetable oils, chemicals, proteins (e.g. enzymes)) of the process water, industrial waste, industrial sites waste water or drainage (such as cooling and process water), and agricultural waste water or drainage. 根据本发明使用的液体清洁组合物具有物理形式，其不是固体(或气体）。  The physical form having a liquid cleaning composition of the present invention, which is not a solid (or gas). 它可以是可倾流的液体，可倾流的凝胶或不可倾流的凝胶。 It may be a liquid pourable, pourable gel or gel non-pourable. 它可以是各向同性的或结构性的，优选各向同性的。 It may be isotropic or structured, preferably isotropic. 该液体清洁组合物可以是水性的，典型地含有按重量计至少20%并且高达95%的水，如尚达70 %的水、尚达50 %的水、尚达40 %的水、尚达30 %的水、或尚达20 %的水。  The liquid cleaning composition may be aqueous, typically containing by weight at least 20% and up to 95% water, as is still up to 70% water, still 50% of water, still 40% of water , yet up to 30% water, or still up to 20% water. 包括但不限于链烷醇、胺、二醇、醚以及多元醇的其他类型的液体可以被包括在水性液体组合物中。 Including but not limited to alkanols, amines, glycols, ethers and other types of liquid polyol may be included in the aqueous liquid composition. 水性液体组合物可以含有从0-30%的有机溶剂。 The aqueous liquid compositions may contain from 0-30% of an organic solvent. 液体组合物甚至可以是非水性的，其中水含量低于10%，优选低于5%。 The liquid composition may even be non-aqueous, in which the water content is less than 10%, preferably less than 5%. 该清洁组合物可以采用单位剂量产品的形式。  The cleaning composition in the form of unit dose products may be employed. 单位剂量产品是不可重复使用的容器中的单一剂量的包装。 Unit dose product is non-reusable containers in a single dose packaging. 它被越来越多地用于洗衣和餐具洗涤的洗涤剂中。 It is increasingly being used for washing the laundry detergent and dishwashing. 洗涤剂单位剂量产品是在单次洗涤中所用的洗涤剂量值的包装(例如，在由水溶性薄膜制得的袋中）。 Unit dose detergent products are used in a single wash detergent packaging magnitude (e.g., a water-soluble film obtained in the manufactured bag). 袋可以是适于保存该组合物的任意形式、任何形状、和任何材料，例如不允许该组合物在与水接触之前从该袋中释放出。  bag may be adapted to hold any form of the composition, of any shape and any material, for example, does not allow the composition is released from the pouch prior to contact with the water. 袋由封装内体积的水溶性膜制成。 Bag made of a water soluble film packaging internal volume. 所述内部体积可以分成袋的室。 The internal volume of the bag may be divided into chambers. 优选的膜是高分子材料，优选被制成膜或片的形式的聚合物。 Preferred films are polymeric materials, preferably in the form of a film or sheet made of a polymer. 优选的聚合物、共聚物或其衍生物选自聚丙烯酸酯、和水溶性丙烯酸酯共聚物、甲基纤维素、羧甲基纤维素、糊精钠、乙基纤维素、羟乙基纤维素、羟丙基甲基纤维素、麦芽糊精、聚甲基丙烯酸酯， 最优选地是聚乙烯醇共聚物以及羟丙基甲基纤维素(HPMC)。 Preferred polymers, copolymers or derivatives thereof are selected from polyacrylates and water-soluble acrylate copolymers, methylcellulose, carboxymethylcellulose sodium, dextrin, ethyl cellulose, hydroxyethyl cellulose , hydroxypropyl methylcellulose, maltodextrin, polymethacrylates, most preferably polyvinyl alcohol copolymers and hydroxypropyl methyl cellulose (HPMC). 优选地，聚合物在膜例如PVA中的水平是至少约60%。 Preferably, the polymer film such as PVA, the level of at least about 60%. 优选的平均分子量将典型地是约20,000至约150,000。 Preferred average molecular weight will typically be from about 20,000 to about 150,000. 膜还可以是混合组合物，包含可通过水解可降解的以及水溶性的聚合物混合物，如聚乳酸和聚乙烯醇（已知在贸易参考(Trade reference)M8630下，由美国Chris Craft In.Prod.Of Gary，Ind.销售），以及增塑剂，像甘油、乙二醇、丙二醇、山梨糖醇及其混合物。 The film may also be mixed composition, by comprising a hydrolytically degradable and water-soluble polymer blend such as polylactide and polyvinyl alcohol (known under the trade reference (Trade reference) M8630, Chris Craft In.Prod the U.S. .Of Gary, Ind. sales), and a plasticizer, such as glycerol, propylene glycol, sorbitol and mixtures thereof. 这些袋可以包含固体衣物清洁组合物或部分组分和/或液体清洁组合物或由水溶性膜分开的部分组分。 The bag may comprise a solid laundry cleaning composition or part of the components and / or liquid cleaning composition or a water-soluble film portions separated components. 组合物中，液体组分的室可以与含固体的室不同（参见例如，US 2009/0011970)。 Composition, the liquid component chamber may be different from the chamber containing the solid (see, e.g., US 2009/0011970). 清洁组分的选择可以包括待清洁的膜的类型、污物的类型和/或程度、进行清洁时的温度、以及清洁产品的配制的考虑。  The cleaning component may include selecting the type of film to be cleaned, type of soil and / or extent of the temperature for cleaning, and cleaning products formulated consideration. 尽管根据具体的功能性对以下提及的组分由通用标题进行分类，但是这并不被解释为限制，因为如将被普通技术人员所理解，组分可以包含另外的功能性。 Although depending on the functional components mentioned below are performed by the general headings, but this is not to be construed as limiting, because as will be appreciated by one of ordinary skill, the components may comprise additional functionality. 另外的组分的选择在普通技术人员技术内并且包括常规成分，包括以下列出的示例性、非限制性组分。  Further selection of components within the ordinary skill in the art and include conventional ingredients, including the exemplary, non-limiting components listed below. 清洁组合物可以包含一种或多种表面活性剂，它们可以是阴离子的和/或阳离子的和/或非离子的和/或半极性的和/或兼性离子的，或其混合物。  Cleaning compositions may contain one or more surfactants, which may be anionic and / or cationic and / or nonionic and / or semi-polar and / or zwitterionic, or mixture. 在具体实施例中，该组合物包括一种或多种非离子型表面活性剂和一种或多种阴离子表面活性剂的混合物。 In a particular embodiment, the composition comprises one or more nonionic surfactants and one or more anionic surfactants in a mixture. 这种或这些表面活性剂典型地以按重量计从约〇. 1 %至60%的水平存在，如约1 %至约40%、或约3%至约20%、或约3%至约10%。 This or these surfactants typically by weight of the presence of from about billion 1% to 60% level, such as from about 1% to about 40%, or about 3% to about 20%, or about 3% to about 10 %. 基于所希望的清洁应用来选择这种或这些表面活性剂，并且包括本领域中已知的任何常规表面活性剂。 Based on the desired cleaning applications to choose this or these surfactants, and includes any conventional surfactants known in the art. 可以利用本领域中已知用于清洁组合物中的任何表面活性剂。 Known in the art may be utilized for any surfactant in the cleaning composition. 当被包括在其中时，清洁组合物将通常含有按重量计从约1 %至约40 %，如从约5%至约30% (包括从约5%至约15%)、或从约20%至约25%的阴离子表面活性剂。  When included therein, the cleaning compositions will generally contain by weight from about 1% to about 40%, such as from about 5% to about 30% (including about 5% to about 15% from a), or from about 20% to about 25% of an anionic surfactant. 阴离子表面活性剂的非限制性实例包括硫酸盐和磺酸盐，具体地，直链烷基苯磺酸盐(LAS)、LAS的异构体、支链烷基苯磺酸盐(BABS)、苯基链烷磺酸盐、α-烯烃磺酸盐(AOS)、烯烃磺酸盐、链烯烃磺酸盐、链烷-2,3-二基双(硫酸盐）、羟基链烷磺酸盐以及二磺酸盐、烷基硫酸盐(AS) (如十二烷基硫酸钠（SDS))、脂肪醇硫酸盐(FAS)、伯醇硫酸盐(PAS)、醇醚硫酸盐(AESS AEOS或FES，也被称为醇乙氧基硫酸盐或脂肪醇醚硫酸盐）、仲链烷磺酸盐（SAS)、石蜡烃磺酸盐(PS)、酯磺酸盐、磺化的脂肪酸甘油酯、α-磺酸基脂肪酸甲酯(α-SFMe或SES)(包括甲酯磺酸盐(MES))、烷基琥珀酸或烯基琥珀酸、十二烯基/十四烯基琥珀酸(DTSA)、氨基酸的脂肪酸衍生物、磺酸基琥珀酸或皂的二酯和单酯、及其组合。 Non-limiting examples of anionic surfactants include sulfates and sulfonates, in particular, linear alkylbenzene sulfonates (LAS), LAS isomers, branched alkylbenzene sulfonates (BABS), phenyl-alkane sulfonates, olefin sulfonates alpha] (the AOS), olefin sulfonates, olefin sulfonates, alkane-2,3-diyl bis (sulfate), hydroxy-alkanesulfonates and disulfonates, alkyl sulfates (the aS) (such as sodium dodecyl sulfate (SDS)), fatty alcohol sulfates (the FAS), primary alcohol sulphate (the PAS), alcohol ether sulfates (AESS AEOS or the FES, also known as alcohol sulfates or fatty alcohol ether sulfates ethoxylated), secondary alkanesulfonates (the SAS), paraffin sulfonates (PS), ester sulfonate, sulfonated fatty acid glycerides , a sulfonic acid group alpha] fatty acid methyl ester (α-SFMe or the SES) (including methyl ester sulfonates (the MES)), alkyl- or alkenylsuccinic acid, dodecenyl / tetradecenyl succinic acid ( the DTSA), fatty acid derivatives of amino acids, sulfonic acid or soap monoesters and diesters, and combinations thereof. 当被包括在其中时，清洁剂组合物将通常包括按重量计从约0.1%至约10%的阳离子表面活性剂。  When included therein, the detergent compositions will generally comprise by weight from about 0.1% to about 10% of a cationic surfactant. 阳离子表面活性剂的非限制性实例包括烷基二甲基乙醇季胺(ADMEAQ)、 十六烷基三甲基溴化铵(CTAB)、二甲基二硬脂酰氯化铵(DSDMAC)、以及烷基苄基二甲基铵、 烷基季铵化合物、烷氧基化季铵(AQA)化合物、及其组合。 Nonlimiting examples of cationic surfactants include quaternary alkyl dimethyl ethanol amine (ADMEAQ), cetyl trimethyl ammonium bromide (CTAB), distearyl dimethyl ammonium chloride (DSDMAC), and alkyl dimethyl benzyl ammonium, alkyl quaternary ammonium compounds, alkoxylated quaternary ammonium (AQA) compounds, and combinations thereof. 当被包括在其中时，清洁组合物将通常含有按重量计从约0.2%至约40 %的非离子表面活性剂，例如从约0.5 %至约30 %，具体地从约1 %至约20 %、从约3 %至约10 %，例如从约3%至约5%、或从约8%至约12%。  When included therein, the cleaning compositions will generally contain by weight from about 0.2% to about 40% of non-ionic surfactants, e.g., from about 0.5% to about 30%, particularly from about 1% to about 20%, from about 3% to about 10%, for example from about 3% to about 5%, or from about 8% to about 12%. 非离子型表面活性剂的非限制性实例包括醇乙氧基化物(AE或ΑΕ0)、醇丙氧基化物、丙氧基化的脂肪醇(PFA)，烷氧基化的脂肪酸烷基酯(例如乙氧基化的和/或丙氧基化的脂肪酸烷基酯），烷基酚乙氧基化物(APE)，壬基酚乙氧基化物(NPE)，烷基多糖苷（APG)，烷氧基化胺，脂肪酸单乙醇酰胺（FAM)，脂肪酸二乙醇酰胺(FADA)，乙氧基化的脂肪酸单乙醇酰胺(EFAM)，丙氧基化的脂肪酸单乙醇酰胺(PFAM)，多羟基烷基脂肪酸酰胺，或葡萄糖胺的N-酰基N-烷基衍生物(葡糖酰胺(GA)，或脂肪酸葡糖酰胺(FAGA))，连同在SPAN和TWEEN商品名下可获得的产品，及其组合。 Non-limiting examples of nonionic surfactants include alcohol ethoxylates (AE or ΑΕ0), alcohol propoxylates, propoxylated fatty alcohols (PFA), alkoxylated fatty acid alkyl esters ( such as ethoxylated and / or propoxylated fatty acid alkyl esters), alkyl phenol ethoxylates (APE), nonylphenol ethoxylates (the NPE), alkyl polyglycosides (the APG), fatty acid monoethanolamide alkoxylated amines, fatty acid monoethanolamide (the FAM), fatty acid diethanolamides (FADA), ethoxylated fatty acid monoethanolamide (EFAM), propoxylated (the PFAM), polyhydroxy alkyl fatty acid amide, N- acyl or N- alkyl derivatives of glucosamine (glucamide (GA), or fatty acid glucamide (FAGA)), together with the available under the trade names SPAN and TWEEN products, and a combination thereof. 当被包括在其中时，清洁剂组合物将通常包括按重量计从约0.1 %至约20%的半极化表面活性剂。  When included therein, the detergent compositions will generally comprise by weight from about 0.1% to about 20% of the semi-polar surfactants. 半极性表面活性剂的非限制性实例包括氧化胺(AO)(如烷基二甲基氧化胺）、N-(椰油基烷基)-N，N-二甲基氧化胺和N-(牛油-烷基)-N，N-双（2-羟乙基)氧化胺、月旨肪酸链烷醇酰胺和乙氧基化的脂肪酸链烷醇酰胺及其组合。 Non-limiting examples of semi-polar surfactants include amine oxides (AO) (such as alkyl dimethyl amine oxide), N- (coconut alkyl) -N, N- dimethyl amine oxide and N- (tallow - alkyl) -N, N- bis (2-hydroxyethyl) amine oxide, fatty acid aimed month alkanolamides and ethoxylated fatty acid alkanolamides, and combinations thereof. 当被包括在其中时，清洁剂组合物将通常包括按重量计从约0.1 %至约10%的两性表面活性剂。  When included therein, the detergent compositions will generally comprise by weight of an amphoteric surfactant from about 0.1% to about 10% of the active agent. 兼性离子表面活性剂的非限制性实例包括甜菜碱、烷基二甲基甜菜碱、磺基甜菜碱、及其组合。 Non-limiting examples of zwitterionic surfactants include betaines, alkyl dimethyl betaines, sulfo betaines, and combinations thereof. 如在以上段落中描述的，本发明提供了通过将膜与包含DNA酶的液体清洁组合物接触用于清洁滤水膜的方法。  As described in the foregoing paragraphs, the present invention provides a method by film comprising a liquid cleaning composition for cleaning a contact DNA enzyme water filtration membrane. 优选地，提高了通过该膜的水流量(通量）。 Preferably, to improve the flow of water through the membrane (flux). 该液体清洁组合物可以进一步包括如以上段落中描述的组分。 The liquid cleaning composition may further comprise components described in the preceding paragraphs. 在实施例中，该清洁过程是就地清洁(CIP)或异地清洁(COP)。  In an embodiment, the cleaning process is a cleaning in place (CIP) cleaning or remote (COP). 在实施例中，滤水膜的DNA酶处理是在膜与杀生物组合物接触之前或之后。  In an embodiment, DNA is enzymatically treated water treatment prior to contacting the film with the film after or biocidal compositions. 在实施例中，该滤水膜包含生物膜。  In an embodiment, the membrane comprises a drainage biofilm. 优选地，该生物膜包含选自下组的一种或多种细菌，该组由以下组成:不动杆菌属、芽胞杆菌属、丛毛单胞菌属、埃希氏菌属、假单胞菌属、 和鞘氨醇单胞菌属物种。 Preferably, the biofilm comprising one or more bacteria selected from the group, the group consisting of: Acinetobacter, Bacillus, Comamonas sp., Escherichia, Pseudomonas genus, and sphingosine Aeromonas spp. 更优选地，该生物膜包含选自下组的一种或多种细菌，该组由以下组成：乙酸钙不动杆菌、解淀粉芽孢杆菌SC100、解淀粉芽孢杆菌SC168、脱氮丛毛单胞菌、大肠杆菌K-12、铜绿假单胞菌、和鞘氨醇单胞菌;优选地，该细菌是铜绿假单胞菌。 More preferably, the biofilm comprising one or more bacteria selected from the group, the group consisting of: calcium acetate Acinetobacter, SC100 Bacillus amyloliquefaciens, Bacillus amyloliquefaciens SC168, denitrification Comamonas , E. coli K-12, Pseudomonas aeruginosa, and sphingosine Aeromonas; preferably, the bacterium Pseudomonas aeruginosa. 在另一个实施例中，清洁组合物的pH是6-9;优选地，该pH是约中性。  In another embodiment, the cleaning composition of pH 6-9; preferably, the pH is about neutral. 在实施例中，该膜与清洁组合物在30 °C-100 °C之间的温度、优选地在50 °C-80 °C之间的温度接触。  In an embodiment, the cleaning composition film at a temperature between 30 ° C-100 ° C, preferably contacted at a temperature between 50 ° C-80 ° C.
 在还另一个实施例中，该膜与选自下组的一种或多种非DNA酶同时地或分别地接触，该组由以下组成：蛋白酶、脂肪酶、角质酶、淀粉酶、糖酶、纤维素酶、果胶酶、果胶裂解酶、甘露聚糖酶、阿拉伯糖酶、半乳聚糖酶、木聚糖酶、过水解酶、和氧化还原酶;优选地，非DNA酶是蛋白酶。  In one embodiment, a film selected from the group of one or more non-DNA enzymes simultaneously or separately contacting another further embodiment, the group consisting of: protease, lipase, cutinase, an amylase , carbohydrase, cellulase, pectinase, pectate lyase, mannanase, arabinase, galactanase, xylanase, perhydrolase enzymes, oxidoreductase; preferably, the non- DNA enzyme is a protease. 在实施例中，在清洁组合物中使用的DNA酶是米曲霉DNA酶或其衍生物。  In an embodiment, DNA enzymes used in the cleaning composition is A. oryzae DNA enzyme or derivative thereof. 优选地，该DNA酶是具有DNA酶活性的多肽，该多肽包含与如SEQ ID NO: 1所示的氨基酸序列具有至少80 %序列一致性的氨基酸序列或由其组成。 Preferably, the enzyme is a polypeptide having DNA DNA activity, such as the polypeptide comprising SEQ ID NO: 1 amino acid sequence as an amino acid sequence having at least 80% sequence identity or consist. 更优选地，该DNA酶是具有DNA酶活性的多肽，该多肽包含如SEQ ID NO: 1所示的氨基酸序列或由其组成。 More preferably, the enzyme is a polypeptide having DNA DNA activity, the polypeptide comprising the SEQ ID NO: 1 or the amino acid sequence shown consists. 在另一个实施例中，该DNA酶是地衣芽孢杆菌或其衍生物。  In another embodiment, the DNA enzyme is a Bacillus licheniformis or a derivative thereof. 优选地，该DNA酶是具有DNA酶活性的多肽，该多肽包含与如SEQ ID N0:2所示的氨基酸序列具有至少80%序列一致性的氨基酸序列或由其组成。 Preferably, the enzyme is a polypeptide having DNA DNA activity, such as the polypeptide comprising SEQ ID N0: 2, amino acid sequence identity to an amino acid sequence having at least 80% sequence or consist. 在具有甲基绿(BD公司，富兰克林湖，新泽西州，美国）的DNA酶测试琼脂上确定DNA 酶活性。  DNA enzyme activity is determined in the agar test with the enzyme DNA methyl green (BD Company, Franklin Lakes, NJ, USA). 简言之，将21g的该DNA酶测试琼脂溶于500ml水中，并然后在121°C高压灭菌15min。 Briefly, the DNA enzyme 21g agar was dissolved in 500ml of water test, and then autoclaved at 121 ° C 15min. 将高压蒸汽处理的琼脂在水浴中温和至48 °C，并且将20ml的琼脂倒入培养皿并且允许在室温通过孵育来固化。 The autoclaved agar in a water bath to moderate 48 ° C, and poured into petri dishes and agar 20ml allows solidified by incubation at room temperature. 在固化的琼脂平板上，添加5μ1的酶溶液，并且DNA酶活性被观察为斑点酶溶液周围的无色区域。 On the cured agar plates, 5μ1 enzyme solution was added, and the DNA enzyme activity is observed as a colorless area surrounding the spot enzyme solution. 用作缓冲液和底物的化学品是至少试剂级的商业产品。  used as buffers and substrates were at least reagent grade chemicals are commercial products. 在实例1中使用的DNA酶获得自米曲霉并且是SEQ ID NO: 1中显示的氨基酸序列的成熟多肽。 Used in Example 1 in the DNA and the enzyme is obtained from Aspergillus oryzae SEQ ID NO: amino acid sequence of the mature polypeptide in a display. 将细菌在卢里亚肉汤（luria broth) (LB; 15.5g/L;美国BD 公司（Beckton Dickenson)，富兰克林湖，纽约）在30°C在200RPM中培养过夜用于进行生物膜测定。  The bacteria on Luria broth (luria broth) (LB; 15.5g / L; U.S. BD Biosciences (Beckton Dickenson), Franklin Lakes, New York) were cultured at 30 ° C for overnight in the biofilm 200RPM Determination. 所有生物膜测定均用LB进行。 All measurements were performed with biofilm LB. 为了评估通量变化，使用指示剂染料（亮绿（Brilliant Green)(科莱恩公司(Clariant Corp)，瑞士)）确定能够通过EMD Millipore MultiScreenHTs96孔滤板的膜的体积。  In order to evaluate changes in the flux, use indicator dye (Brilliant Green (Brilliant Green) (manufactured by Clariant (Clariant Corp), Switzerland)) can be determined by the volume of EMD Millipore MultiScreenHTs96 well filter plate membrane. 在蒸馏水中以0.05 % (wt/V01)的浓度建立亮绿的校准曲线。 Brilliant Green calibration curve established at a concentration of 0.05% (wt / V01) in distilled water. 将具有透明平底的Costar儀96孔黑色测定板用范围从10yL-240yL体积的0.05%亮绿染料接种。 The instrument has a clear bottom Costar 96 well black assay plate was inoculated from brilliant green dye 0.05% 10yL-240yL volumes of range. 这些体积系列一式三份地运行，并在Biotek Synergy MHybrid读数器动力学读板器(KPR)上在610nm的吸光度测量。 The volume of the series run in triplicate, and kinetic measurement of absorbance plate reader (KPR) at 610nm on Biotek Synergy MHybrid reader. 基于每个相应体积的吸光度读数，通过绘制吸光度与对应于吸光度读数的体积创建标准曲线。 Absorbance readings on each respective volume, creating a standard curve by plotting the absorbance of a volume corresponding to absorbance readings. 此标准曲线产生线性方程，将其用于评估能够通过滤板的膜的液体体积。 This standard curve produced a linear equation, which can be used to assess the volume of liquid through the filter plate membrane. 培养物在30°C在LB中单独地生长过夜，在200RPM进行振荡。  at 30 ° C cultures were grown individually in LB overnight, shaking at 200RPM. 通过使用Thermo Scientific Spectronic 20D+分光光度计在600nm处的光密度来测量培养物生长。 By using Thermo Scientific Spectronic 20D + Spectrophotometer optical density measured at 600nm culture growth. 将每个培养物稀释至0.5的OD 600。 Each culture was diluted to 0.5 OD 600. 将稀释的培养物以等体积（ImL) —起添加至单独的管中并温柔地涡旋。 The culture was diluted to an equal volume (ImL) - were added to a separate tube and gently vortexed together. 将EMD Millipore MultiScreenHTS96孔滤板用混合的培养物加载。 The EMD Millipore MultiScreenHTS96 well filter plate was loaded with the mixed culture. 多通道移液管将I OOyL混合的培养物的等分试样分配到1 -4列和9-12列。 Multi-channel pipette dispensing I OOyL mixed culture aliquots to the columns 9-12 and columns 1-4. 将LB培养基对照以I OOyL等分试样添加至第5-8列。 The LB medium control I OOyL to aliquots were added to columns 5-8. 一旦板被装配，将“容易呼吸(breathe-easy)”的薄膜被应用到板。 Once the plates are assembled, the "easy breathing (breathe-easy)" of the film is applied to the plate. 将板连同湿的WYPALL毛巾一起放在Tupperware容器内以保持99%的相对湿度，以确保板不会变干。 The plates together with the wet towel together WYPALL Tupperware container holding the 99% relative humidity to ensure that the plate does not dry. 将Tupperwar放置在振动器上，在30 °C在200RPM持续7天。 The Tupperwar placed on a shaker at 200RPM continued at 30 ° C 7 days. 在96孔滤板孵育7天之后，在BSL II罩内去除“容易呼吸”薄膜。  After the 96 well filter plates were incubated for seven days, remove the "easy breathing" film within BSL II hood. 将该板倒置在WYPALL毛巾上，使得孔中的大部分液体被去除。 The inverted plate on WYPALL towel, so that most of the liquid in the pores is removed. 将每个孔用200yL的磷酸盐缓冲剂洗涤。 Each well was washed with phosphate buffer 200yL. 将该板立即倒转，并将缓冲液从板的孔中去除。 The plate was immediately reversed, and the buffer was removed from the wells of the plate. 为了确保所有的液体均从孔中去除，将倒转的板在毛巾上温柔地轻拍。 To ensure that all liquid was removed from the wells, the plates inverted gently tapping on the towel. 将超滤DNA酶样品在测试的板上在无菌水中稀释至Ippm的最终浓度，半随机地选择处理过的孔。  The enzyme samples were diluted in DNA ultrafiltration test plate in sterile water to a final concentration Ippm, semi-randomly selected processed hole. 将无菌水添加至不接收DNA酶处理的孔中。 Sterile water added to the wells do not receive the enzyme-treated DNA. 将两个板分别在室温(22°C)和最佳温度(60°C)孵育持续一小时。 The two plates were incubated at room temperature (22 ° C) and the optimal temperature (60 ° C) for one hour. 在孵育之后，将这些板倒转并将液体从孔中去除。 After incubation, the plates inverted and the liquid removed from the well. 将这些板用磷酸盐缓冲液漂洗一次并将液体去除。 These plates were rinsed once with phosphate buffered saline and the liquid was removed. 将超滤DNA酶样品在两个分离的板上在无菌水中分别稀释至0. Ippm和Ippm的最终浓度，半随机地选择处理过的孔。  The enzyme samples were diluted DNA ultrafiltration in two separate plates in sterile water to a final concentration of 0. Ippm and IPPM, semi-randomly selected processed hole. 将无菌水添加至不接收DNA酶处理的孔中。 Sterile water added to the wells do not receive the enzyme-treated DNA. 将该两个板在室温(22°C)孵育持续20分钟。 The two plates were incubated for 20 minutes at room temperature (22 ° C). 在孵育之后，将这些板倒转并将液体从孔中去除。 After incubation, the plates inverted and the liquid removed from the well. 将这些板用磷酸盐缓冲液漂洗一次并将液体去除。 These plates were rinsed once with phosphate buffered saline and the liquid was removed. 将超滤DNA酶样品在测试的板上在无菌水中稀释至Ippm的最终浓度，半随机地选择处理过的孔。  The enzyme samples were diluted in DNA ultrafiltration test plate in sterile water to a final concentration Ippm, semi-randomly selected processed hole. 将无菌水添加至不接收DNA酶处理的孔中。 Sterile water added to the wells do not receive the enzyme-treated DNA. 将五个板在室温(22°C)孵育分别持续〇分钟、5分钟、10分钟、20分钟和60分钟。 The five plates were incubated at room temperature (22 ° C) were continuously billion minutes, 5 minutes, 10 minutes, 20 minutes and 60 minutes. 在孵育之后，将这些板倒转并将液体从孔中去除。 After incubation, the plates inverted and the liquid removed from the well. 将这些板用磷酸盐缓冲液漂洗一次并将液体去除。 These plates were rinsed once with phosphate buffered saline and the liquid was removed. 一旦每个板用磷酸盐缓冲液漂洗，将0.05%亮绿指示剂染料的200yL样品添加至每个孔中。  Once each plate was rinsed with phosphate buffer, the sample was added 0.05% 200yL brilliant green indicator dye to each well. 将滤板放置在具有透明平底的Costar®96孔黑色板上，并用作收集板。 The filter plates placed in a well black clear bottom plate Costar®96, and for the collection plate. 将这种组合放入Eppendorf离心机5810中，并加上空白的平衡。 This composition into Eppendorf centrifuge 5810, plus the balance of the blank. 将离心机在室温(22°C)在150rcf设定一分钟。 The centrifuge set at room temperature for one minute 150rcf (22 ° C). 在离心后，将收集板从离心机中去除，并且穿过膜进入每个相应的孔中的指示剂燃料的体积在Biotek Synergy H4Hybrid读数器动力学读板器(KPR)上在610nm的吸光度测量。 After centrifugation, the collection plate is removed from the centrifuge, and the absorbance measured through the membrane into the reader Biotek Synergy H4Hybrid kinetic plate reader (KPR) for each indicator on a corresponding volume of fuel in the pores of 610nm . 使用由校准曲线(如上所述)产生的方程，可以从收集板的每个孔计算体积。 Using a calibration curve produced by equation (as described above) can be calculated from the volume of each well of the collection plate. 通过将处理的孔分开(通过它们对应的未污染的对照)来计算通量百分比。 The percentage is calculated by the flux wells treated separately (uncontaminated by their corresponding controls). 这也用未处理的污染的孔进行，以显示用DNA酶处理的膜和那些没有处理的膜之间的通量比较。 This hole also polluted untreated, to show the comparison between the film and the flux that the membrane is not treated with DNA processing enzymes. 将先前提及的七种微生物在LB中在30°C分别生长过夜(在200RPM振摇）。  The previously mentioned seven kinds of microorganisms in LB at 30 ° C were grown overnight (shaking at 200RPM). 通过使用Thermo Scientific Spectronic 20D+分光光度计在600nm处的光密度来测量培养物生长。 By using Thermo Scientific Spectronic 20D + Spectrophotometer optical density measured at 600nm culture growth. 将每个培养物稀释至0.5的OD 600。 Each culture was diluted to 0.5 OD 600. 将稀释的培养物以等体积（ImL) —起添加至单独的管中并温柔地渦旋。 The culture was diluted to an equal volume (ImL) - were added to a separate tube and gently vortexed together. 将EMD Millipore MultiScreenHTs 96孔滤板用混合的培养物以及在选择的孔中的这些物种(米曲霉、地衣芽孢杆菌和枯草芽孢杆菌)的超滤DNA酶加载。 The EMD Millipore MultiScreenHTs 96 well filter plate was loaded with the mixed cultures and these species (Aspergillus oryzae, Bacillus licheniformis and Bacillus subtilis) in selected wells of ultrafiltration DNA enzymes. 随机地选择处理的孔，同时将无菌水添加至不接收DNA酶处理的孔中。 Randomly selected aperture processing, while sterile water was added to the wells do not receive the enzyme-treated DNA. 一旦板被装配，将“容易呼吸(breathe-easy)”的薄膜被应用到板。 Once the plates are assembled, the "easy breathing (breathe-easy)" of the film is applied to the plate. 将板连同湿的WYPALL毛巾一起放在Tupperware容器内以保持99%的相对湿度，以确保板不会变干。 The plates together with the wet towel together WYPALL Tupperware container holding the 99% relative humidity to ensure that the plate does not dry. 将Tupperwar放置在振动器上，在30°C在200RPM持续7天。 The Tupperwar placed on a shaker at 200RPM continued at 30 ° C 7 days. 在96孔滤板孵育7天之后，在BSL II罩内去除“容易呼吸”薄膜。  After the 96 well filter plates were incubated for seven days, remove the "easy breathing" film within BSL II hood. 将该板倒置在WYPALL毛巾上，允许孔中的所有液体被去除。 The inverted plate on WYPALL towel, allow all the liquid in the pores is removed. 将孔用200yL的磷酸盐缓冲剂洗涤。 The wells were washed with phosphate buffer 200yL. 将该板立即倒转，并将缓冲液从板的孔中去除。 The plate was immediately reversed, and the buffer was removed from the wells of the plate. 为了确保所有的液体均从孔中去除，将倒转的板在毛巾上温柔地轻拍。 To ensure that all liquid was removed from the wells, the plates inverted gently tapping on the towel. 一旦这些板用磷酸盐缓冲液漂洗，将200yL的0.05 %亮绿指示剂染料添加至每个孔中。  Once the plates are rinsed with a phosphate buffer, adding 0.05% Brilliant Green 200yL indicator dye to each well. 将滤板放置在具有透明平底的Costar®96孔黑色测定板上，并用作收集板。 The filter plates placed in a well, black clear bottom assay plate Costar®96, and for the collection plate. 将这种组合放入Eppendorf离心机5810中，并加上空白的平衡。 This composition into Eppendorf centrifuge 5810, plus the balance of the blank. 将离心机在室温(22°C)在150rcf设定一分钟。 The centrifuge set at room temperature for one minute 150rcf (22 ° C). 在离心后，将收集板从离心机中去除，并且穿过膜进入收集板中的指示剂燃料的体积在Biotek Synergy H4Hybrid读数器动力学读板器(KPR)上在610nm的吸光度测量。 After centrifugation, the collection plate is removed from the centrifuge, through the membrane and into the fuel volume indicator in the collecting plate reader Biotek Synergy H4Hybrid kinetic measurement of absorbance at 610nm read on a plate reader (KPR). 使用校准曲线（如上所述)计算通过每个孔的体积。 Using a calibration curve (as described above) is calculated by the volume of each well. 通过将处理的孔分开(通过它们对应的未污染的对照）产生通量百分比。 By separating the process of generating the hole flux percentage (uncontaminated by their corresponding controls). 这也用未处理的污染的孔进行，以显示用DNA酶处理的膜和那些没有处理的膜之间的通量比较。 This hole also polluted untreated, to show the comparison between the film and the flux that the membrane is not treated with DNA processing enzymes. 温度显示对DNA酶效力的较小的影响，因为与在升高的温度的DNA酶处理实施相比在室温的DNA酶处理实施在通量方面显示非常低至没有区别。  temperature display a minor effect on the effectiveness of DNA enzymes, and because of the DNA at an elevated temperature as compared to the enzyme treatment in the DNA at room temperature in the enzyme treatment showed an indistinguishable flux is very low. 与无生物污染的对照相比，用DNA酶处理的生物污染的膜的通量仍然大于88% (参见表1)。 Compared with the control without biological contamination, the flux of the membrane biofouling DNA treated with the enzyme is still greater than 88% (see Table 1). 当比较Ippm和0. Ippm的DNA酶浓度时，在这些剂量之间有较低至没有区别。  When the DNA and enzyme concentration 0. Ippm IPPM comparison, there is no difference between the lower to these doses. 在每个时间点（5分钟、10分钟、20分钟、60分钟），与水处理的孔相比这些DNA酶处理的每个显示通量的显著地增加。  at each time point (5 minutes, 10 minutes, 20 minutes, 60 minutes), significantly increased as compared to the flux of each display these enzyme-treated DNA with a hole for water treatment. 然而，在应用处理超过20分钟之后，注意到通量几乎没有改善。 However, after the application process more than 20 minutes, noticed little improvement in throughput. 此时此刻，与未污染的膜相比DNA酶处理的膜达到90%以上的通量(参见表1)。 At this moment, compared to non-enzyme-treated DNA contamination film membrane flux over 90% (see Table 1). 穿过被多物种生物膜(用米曲霉的超滤DNA酶预处理)污染的96孔滤板的膜的百分比流过体积在Ippm浓度。  flowing through the volume percentage concentration Ippm 96 well filter plate membrane multispecies biofilms (Aspergillus oryzae with enzymatic pretreatment by ultrafiltration DNA) contamination. 与未经处理的那些相比，用超滤处理的孔显示通量的显著增加。 Compared to those untreated, showed a significant increase in throughput hole ultrafiltration process. 在污染的膜中恢复到未污染膜的通量的88%以上。 To 88% recovery of uncontaminated membrane flux contamination film. 表1.96孔滤板通量测定结果概述。  The results in Table 1.96 Overview flux well filter plate assay. 1. 一种用于清洁滤水膜的方法，该方法通过将该膜与包含DNA酶的液体清洁组合物接触进行。 1. A method for cleaning water filtration membrane, the method proceeds by contacting the membrane with a liquid cleaning composition comprising a DNA enzyme. 2. 如权利要求1所述的方法，其中该清洁过程是就地清洁(CIP)或异地清洁(COP)。 2. The method according to claim 1, wherein the cleaning process is a cleaning in place (CIP) cleaning or remote (COP). 3. 如权利要求1或2所述的方法，其中通过该膜的水流量(通量)被提高。 The method according to claim 12, wherein the water flow is increased through the membrane (flux). 4. 如权利要求1至3中任一项所述的方法，该方法在将该膜与杀生物组合物接触之前或之后进行。 4. A method according to any one of claims 1 to 3, the method performed before the film is contacted with the biocidal composition to or after. 5. 如权利要求1至4中任一项所述的方法，其中该滤水膜包含生物膜。 5. The method according to claim 4, wherein the film comprises a drainage biofilm. 6. 如权利要求5所述的方法，其中该生物膜包含选自下组的一种或多种细菌，该组由以下组成:不动杆菌属、芽胞杆菌属、丛毛单胞菌属、埃希氏菌属、假单胞菌属、和鞘氨醇单胞菌属物种。 6. The method according to claim 5, wherein the biofilm comprises one or more bacteria selected from the group, the group consisting of: the genus Acinetobacter, the genus Bacillus, the genus Comamonas, Escherichia, Pseudomonas, and Xanthomonas species sphingosine. 7. 如权利要求5所述的方法，其中该生物膜包含选自下组的一种或多种细菌，该组由以下组成：乙酸钙不动杆菌、解淀粉芽孢杆菌SC100、解淀粉芽孢杆菌SC168、脱氮丛毛单胞菌、 大肠杆菌K-12、铜绿假单胞菌、和鞘氨醇单胞菌;优选地，该细菌是铜绿假单胞菌。 7. The method according to claim 5, wherein the biofilm comprises one or more bacteria selected from the group, the group consisting of: calcium acetate Acinetobacter, SC100 Bacillus amyloliquefaciens, Bacillus amyloliquefaciens SC168, denitrification Comamonas bacterium, Escherichia coli K-12, Pseudomonas aeruginosa, and sphingosine Aeromonas; preferably, the bacterium Pseudomonas aeruginosa. 8. 如权利要求1至7中任一项所述的方法，其中该清洁组合物的pH是6-9;优选地，该pH 是约中性。 8. The method according to claim 7, wherein the pH of the cleaning composition is 6-9; preferably, the pH is about neutral. 9. 如权利要求1至8中任一项所述的方法，其中使该膜与清洁组合物在30°C-100°C之间的温度、优选地在50 °C -80 °C之间的温度接触。 9. The method according to claim 8, wherein the film so that the cleaning composition at a temperature between 30 ° C-100 ° C, preferably between 50 ° C -80 ° C the contacting temperature. 10. 如权利要求1至9中任一项所述的方法，其中使该膜与选自下组的一种或多种非DNA 酶同时地或分别地接触，该组由以下组成:淀粉酶、阿拉伯糖酶、糖酶、纤维素酶、角质酶、半乳聚糖酶、脂肪酶、甘露聚糖酶、氧化还原酶;果胶酶、果胶裂解酶、过水解酶、蛋白酶、和木聚糖酶，优选地，该非DNA酶是蛋白酶。 10. The method according to claim 9, wherein the reacting a film selected from the group of one or more non-DNA enzymes simultaneously or separately contacting the group consisting of: amylases arabinosidases, carbohydrases, cellulases, cutinases, galactanase, lipases, mannanases, oxidoreductases; pectinase, pectate lyase, perhydrolase enzymes, proteases, and wood glycanase, preferably, the non-DNA enzyme is a protease. 11. 如权利要求1至10中任一项所述的方法，其中该DNA酶是米曲霉DNA酶或其衍生物。 11. The method according to claim 10, wherein the enzyme is a DNA A. oryzae DNA enzyme or derivative thereof. 12. 如权利要求1至11中任一项所述的方法，其中该DNA酶是具有DNA酶活性的多肽，该多肽包含与如SEQ ID NO: 1所示的氨基酸序列具有至少80%序列一致性的氨基酸序列或由其组成。 12. The method according to claim 11, wherein the DNA enzyme is a polypeptide having activity of DNA, such as the polypeptide comprising SEQ ID NO: 1 amino acid sequence having at least 80% sequence consistent or the amino acid sequence consists of. 13. 如权利要求1至12中任一项所述的方法，其中该DNA酶是具有DNA酶活性的多肽，该多肽包含如SEQ ID NO: 1所示的氨基酸序列或由其组成。 13. The method according to claim 12, wherein the DNA enzyme is a DNA having a polypeptide activity, the polypeptide comprising the SEQ ID NO: 1 or the amino acid sequence shown consists. 14. 如权利要求1至10中任一项所述的方法，其中该DNA酶是地衣芽孢杆菌DNA酶或其衍生物。 14. The method according to claim 10, wherein the DNA enzyme is a Bacillus licheniformis DNA enzyme or derivative thereof. 15. 如权利要求1至10中任一项所述的方法，其中该DNA酶是具有DNA酶活性的多肽，该多肽包含与如SEQ ID N0:2所示的氨基酸序列具有至少80%序列一致性的氨基酸序列或由其组成。 15. The method according to claim 10, wherein the DNA enzyme is a polypeptide having activity of DNA, such as the polypeptide comprising SEQ ID N0: 2, amino acid sequence having at least 80% sequence consistent or the amino acid sequence consists of. FI903443A (en) 1990-07-06 1992-01-07 Valtion Teknillinen Framstaellning of lackas through rekombinantorganismer. NL9401048A (en) 1994-03-31 1995-11-01 Stichting Scheikundig Onderzoe Haloperoxidases. AR017331A1 (en) 1997-10-13 2001-09-05 Novozymes As Polypeptide mutants of alpha-amylases, detergent additive and detergent compositions comprising them. MX2012007168A (en) 2009-12-21 2012-07-23 Danisco Us Inc Detergent compositions containing thermobifida fusca lipase and methods of use thereof. BR112013025811A2 (en) 2011-04-08 2016-11-29 Danisco Us Inc "Composition and method for removing a lipid-based stain a surface"
MX2015007099A (en) * 2012-12-07 2015-09-29 Novozymes As Preventing adhesion of bacteria.